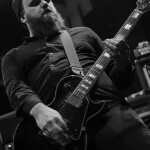 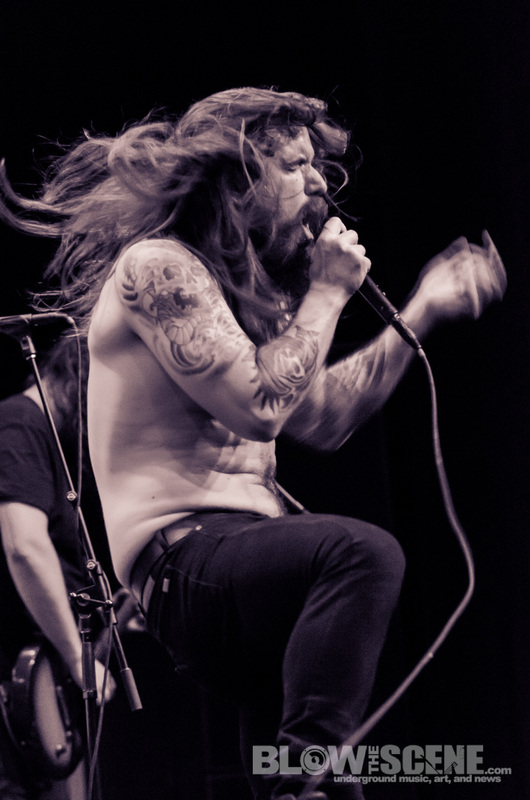 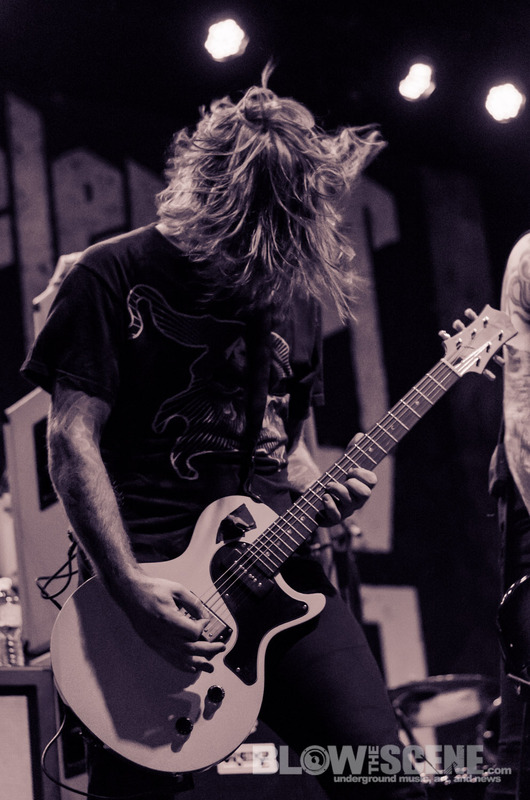 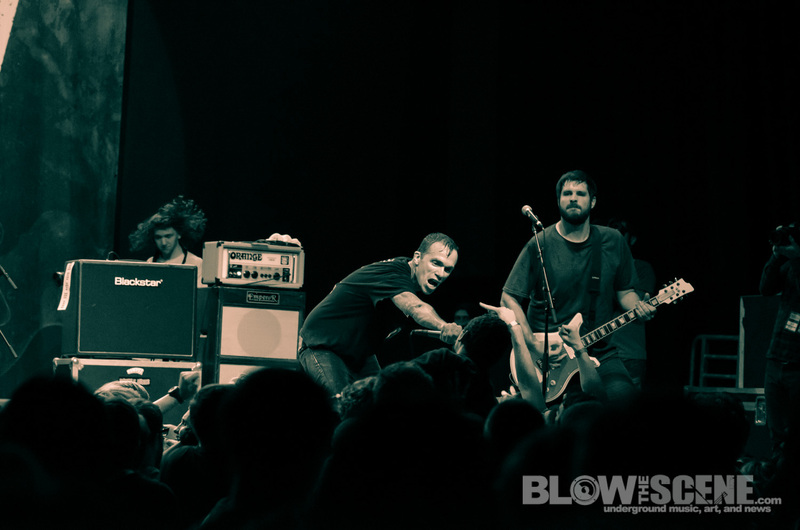 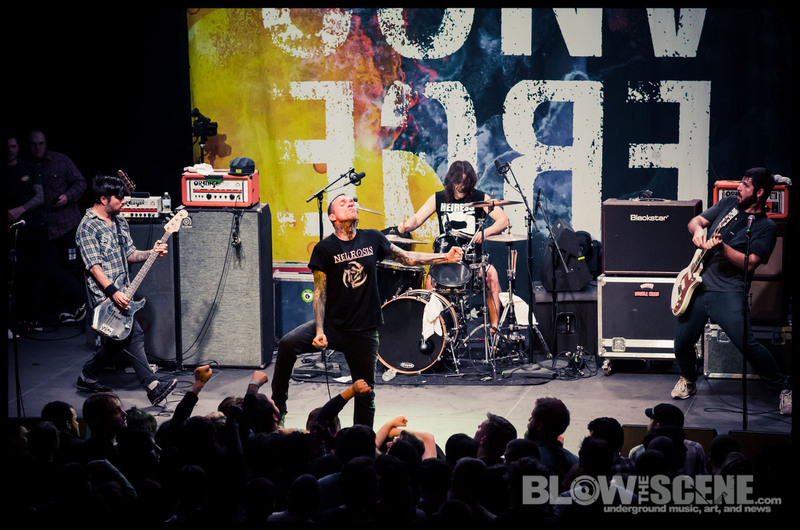 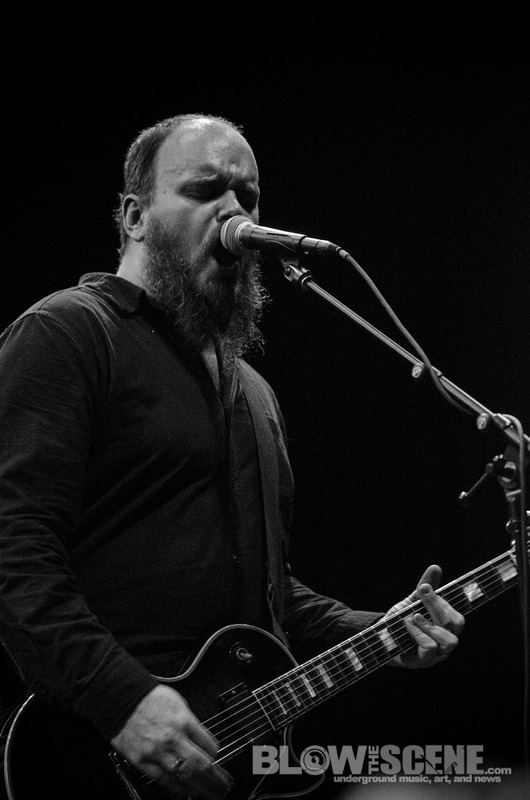 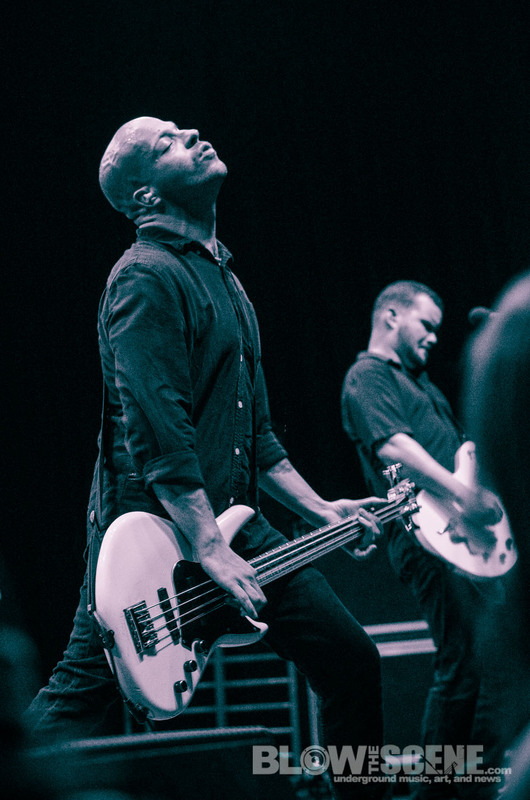 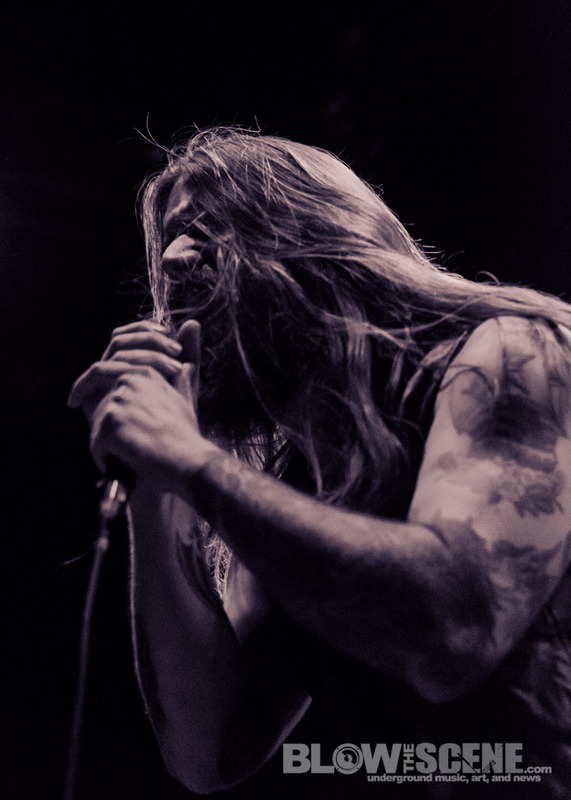 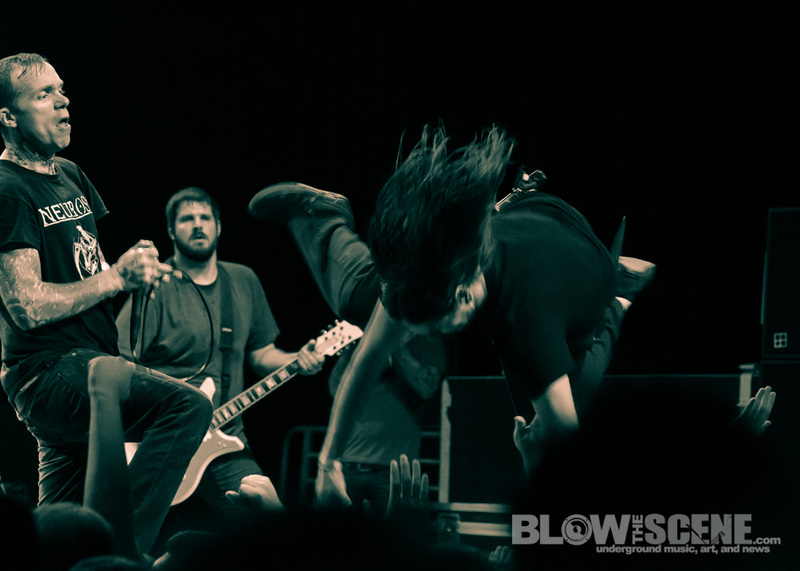 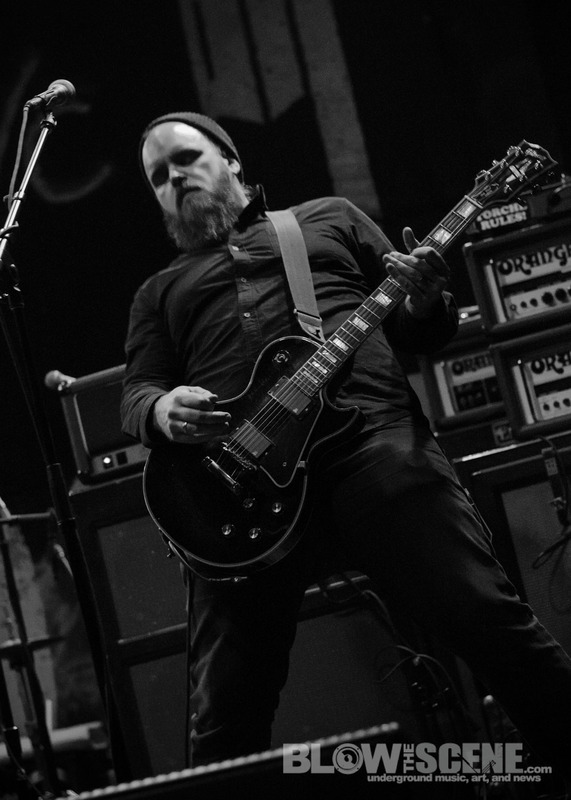 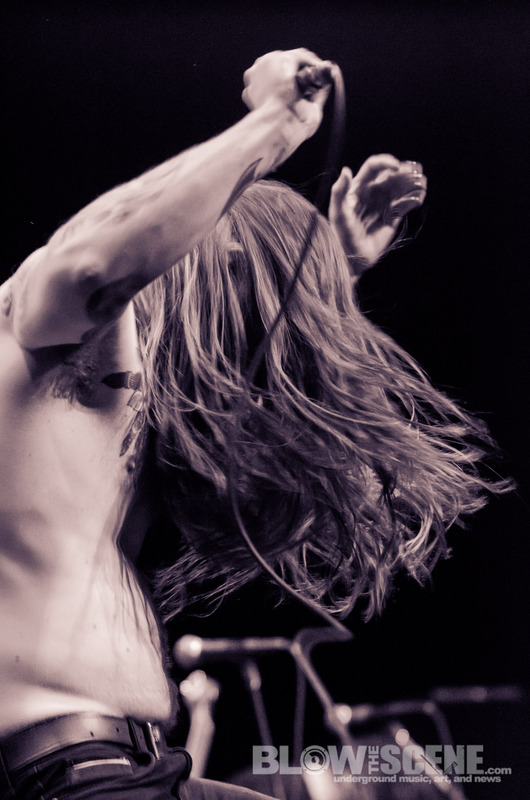 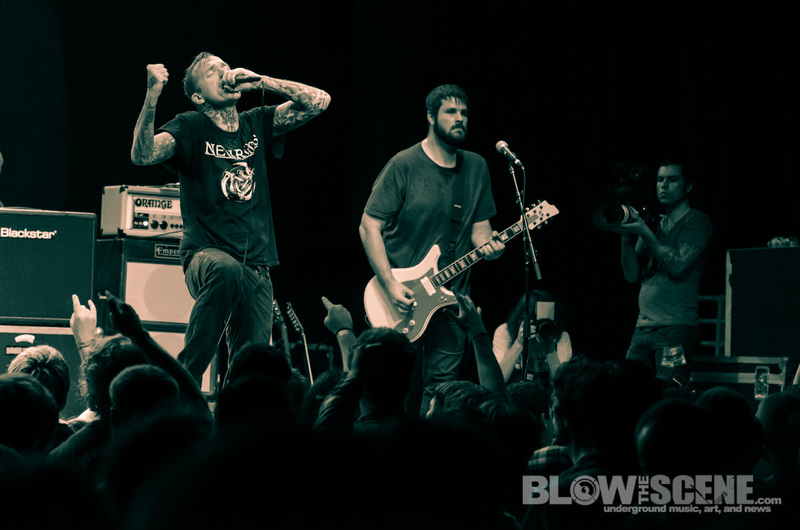 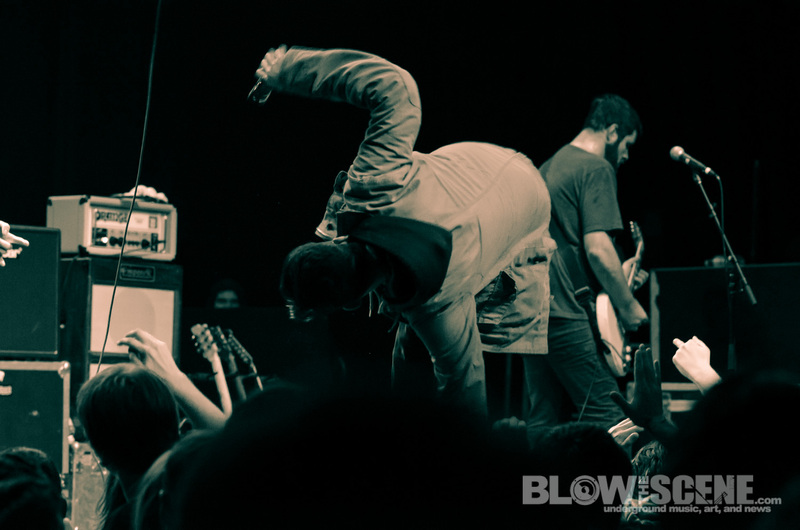 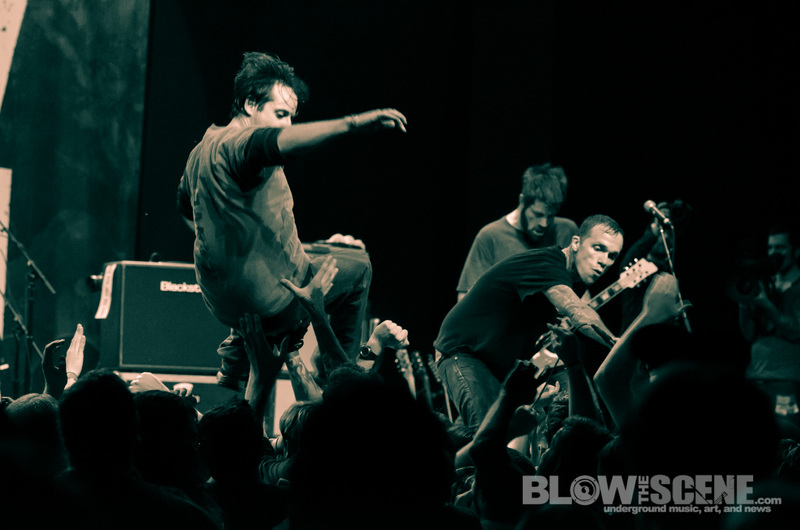 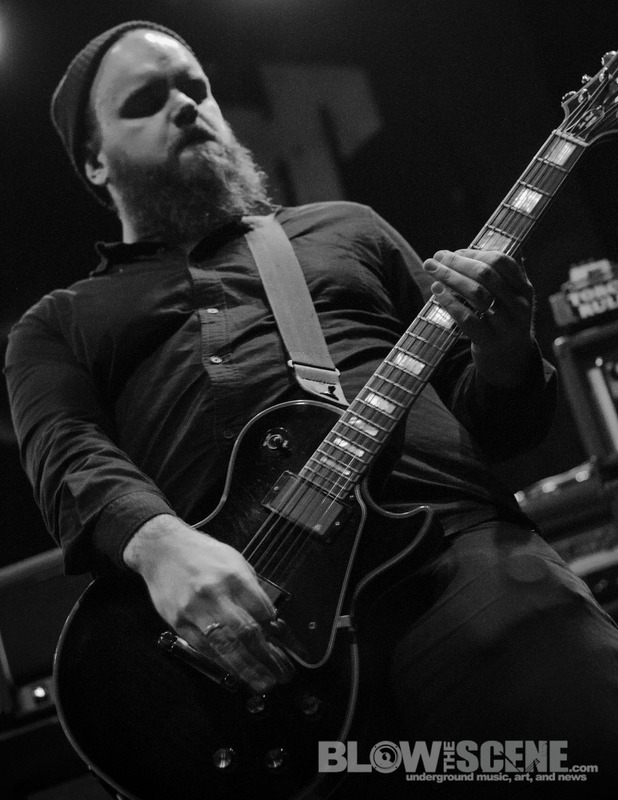 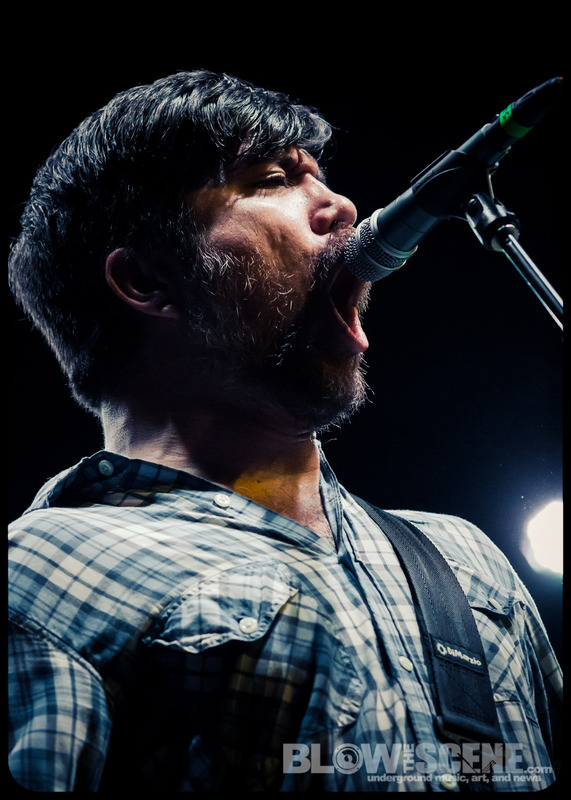 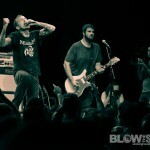 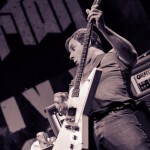 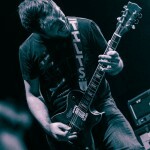 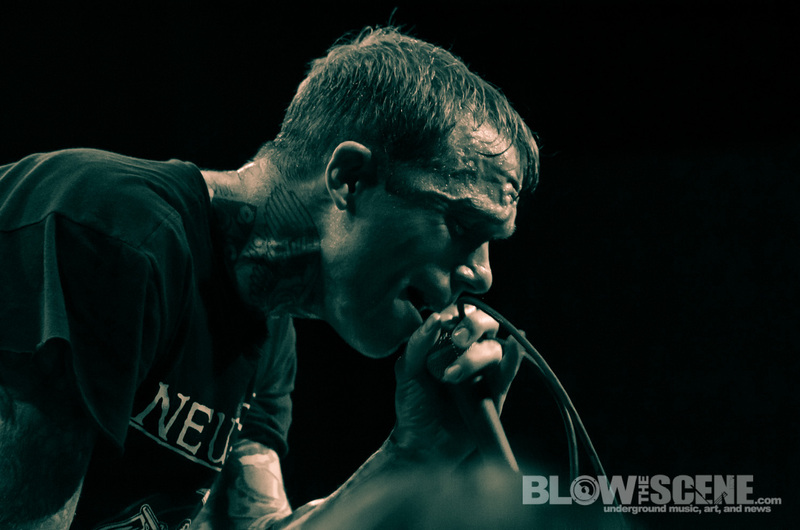 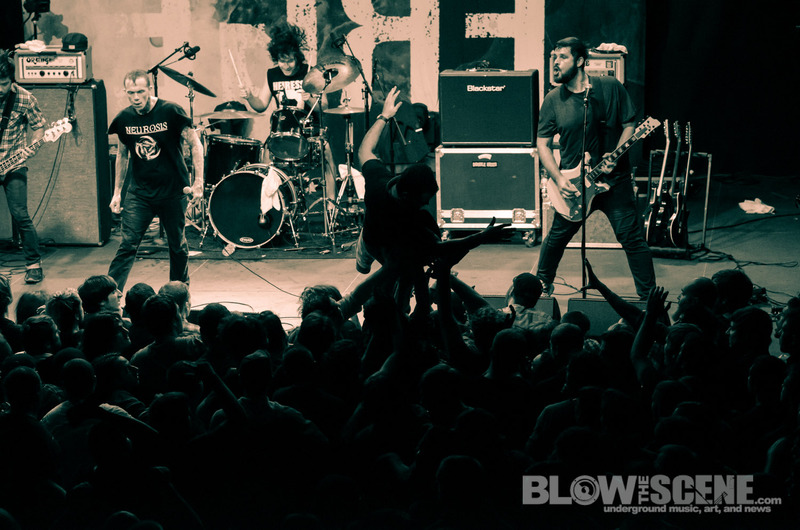 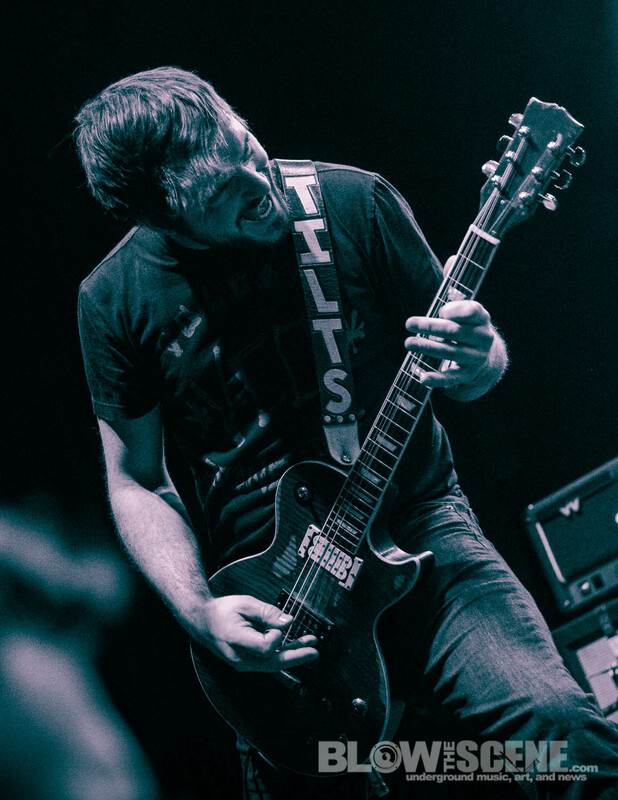 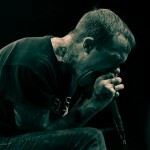 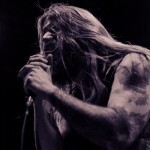 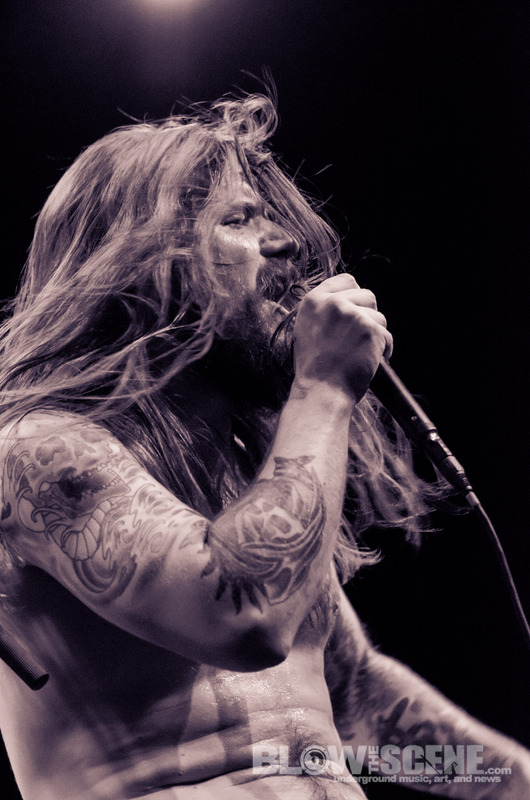 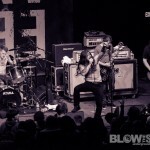 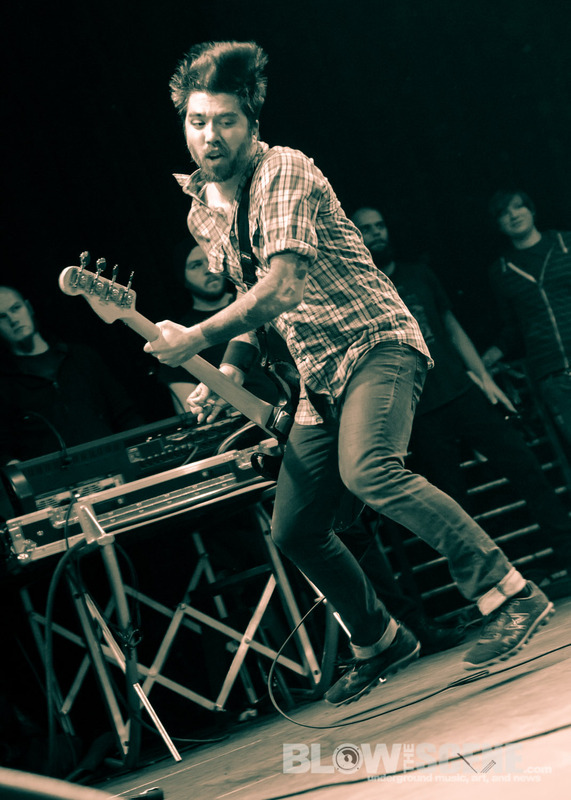 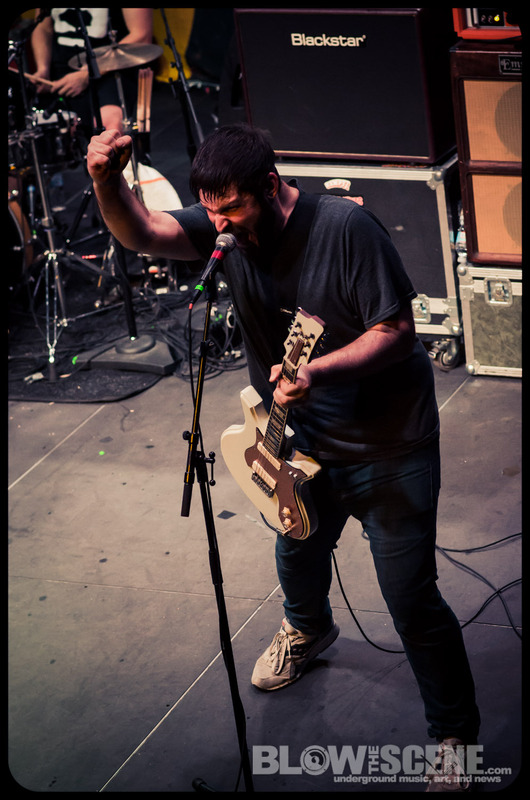 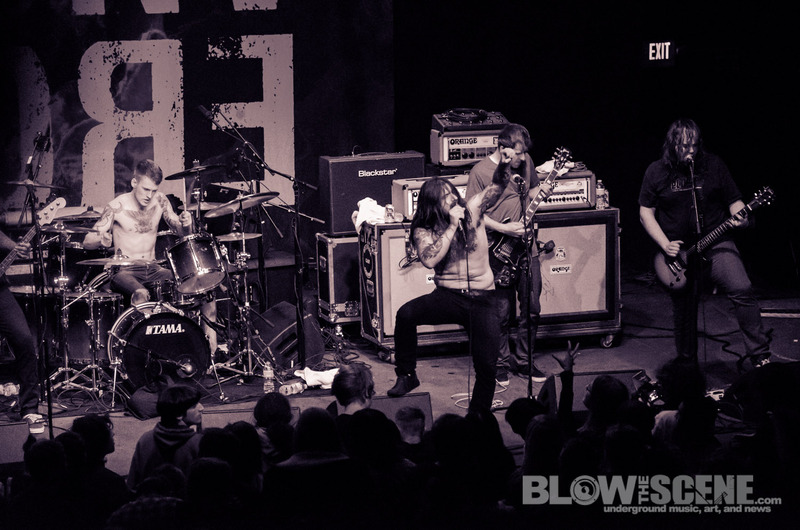 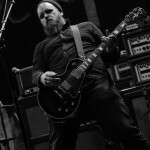 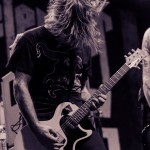 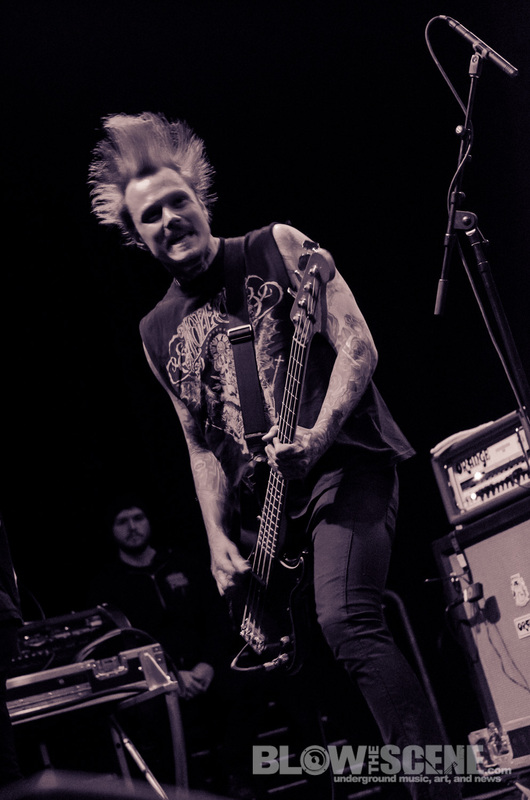 Metallic punk mainstays, Converge, recently ripped through Philadelphia’s Union Transfer venue with Torche, Kvelertak, and Whips/Chains as the bands began to wind down a full US Tour run. Converge are currently supporting a new release on Epitaph and Deathwish Inc, entitled All We Love We Leave Behind, which has made a splash across the extreme music world and will see the band launch a new European tour this Friday, followed by Japan and Australia in February. 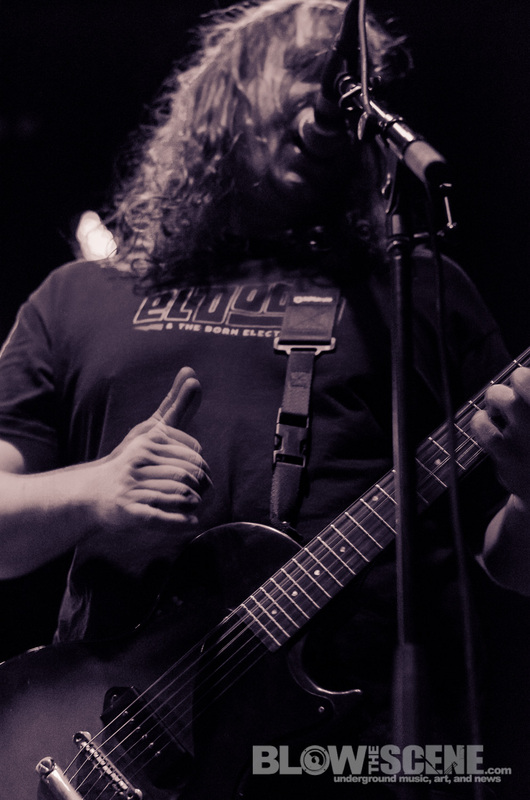 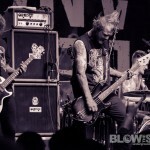 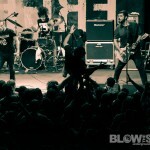 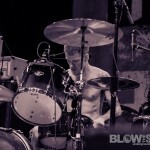 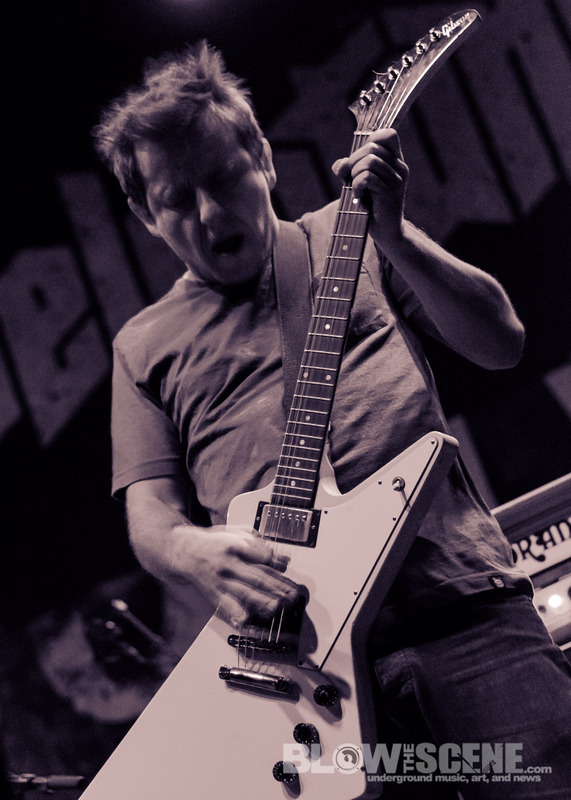 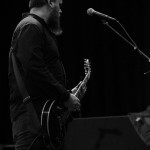 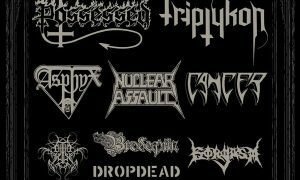 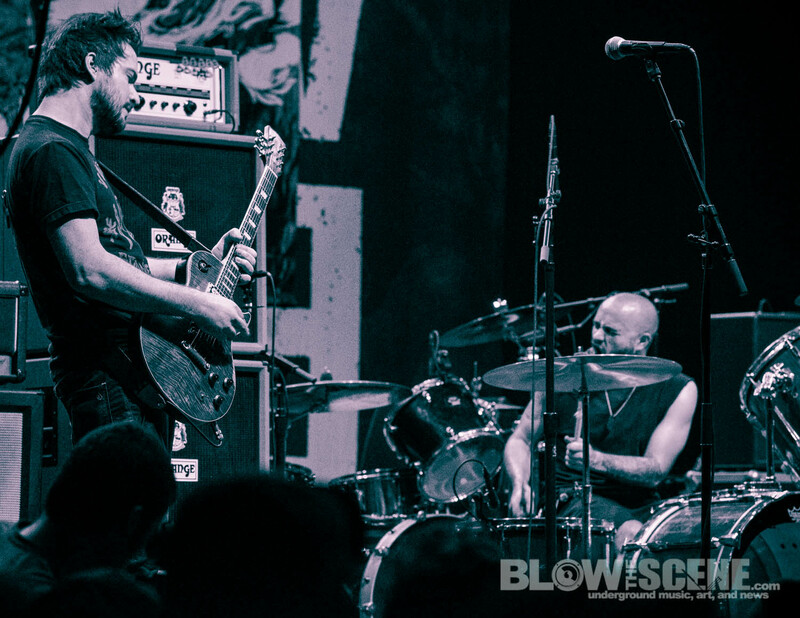 For this performance, Blow The Scene was on hand to capture the show in pictures for your viewing pleasure and video interviews with Torche and Whips/Chains that can be viewed in YouTube players below. 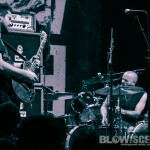 Whips/Chains set the evening in motion with a thunderous set incorporating brooding elements of metal and driving punk rock. 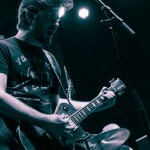 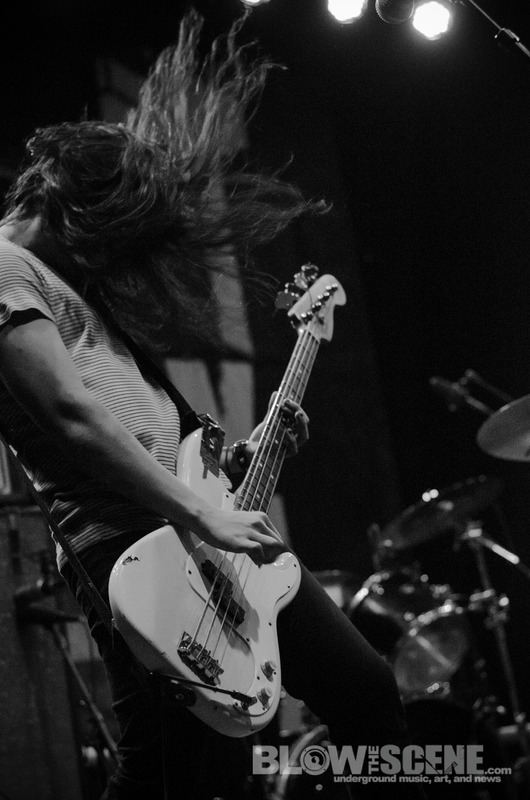 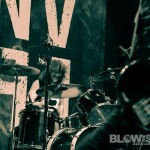 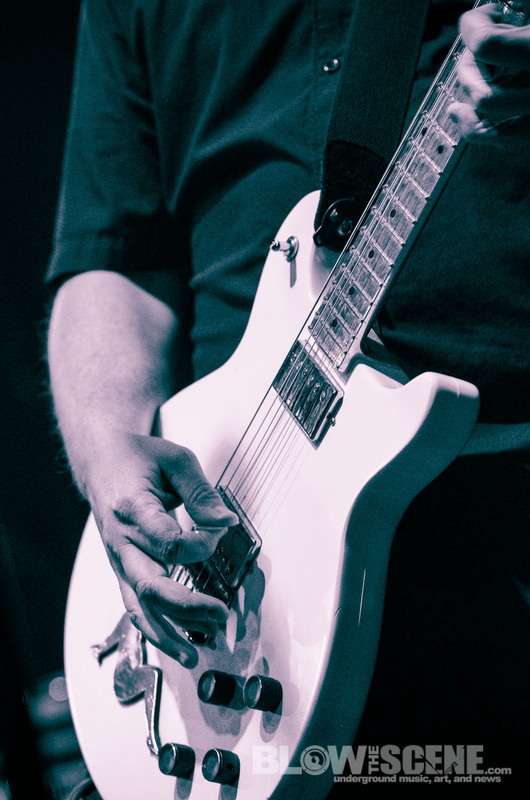 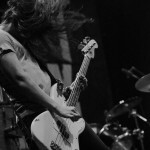 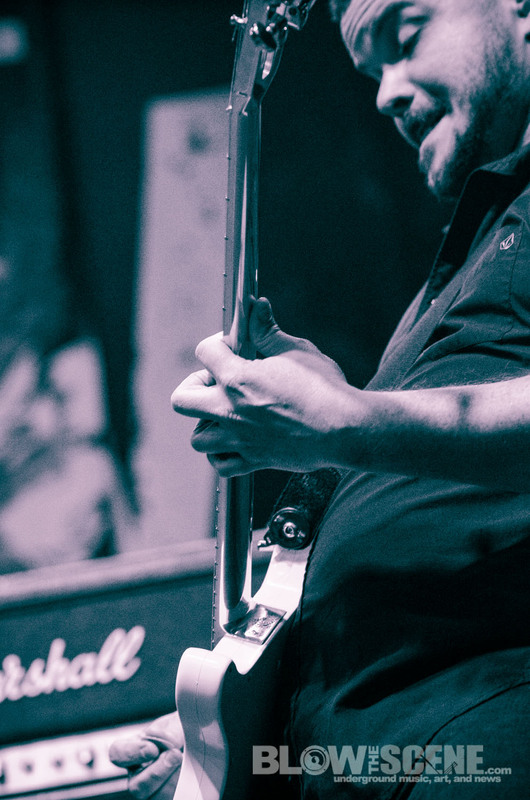 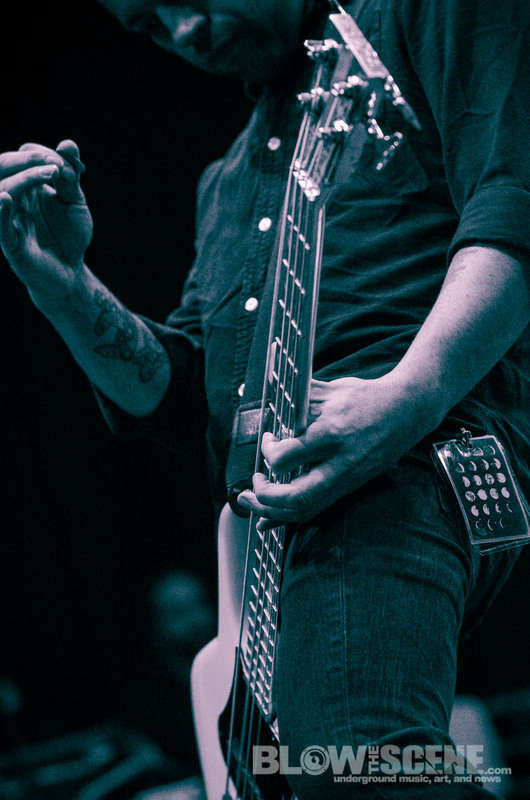 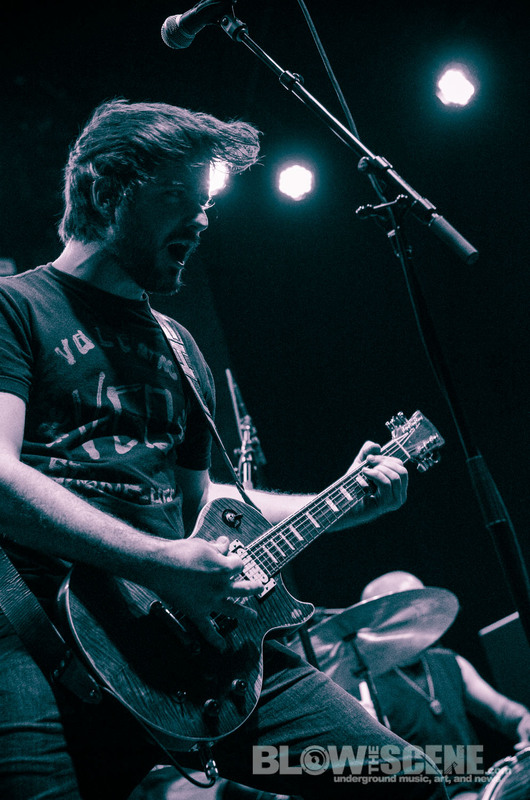 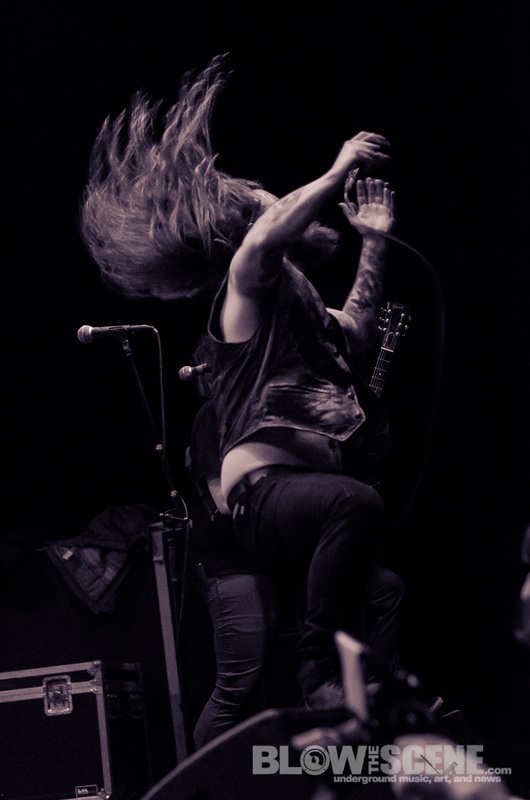 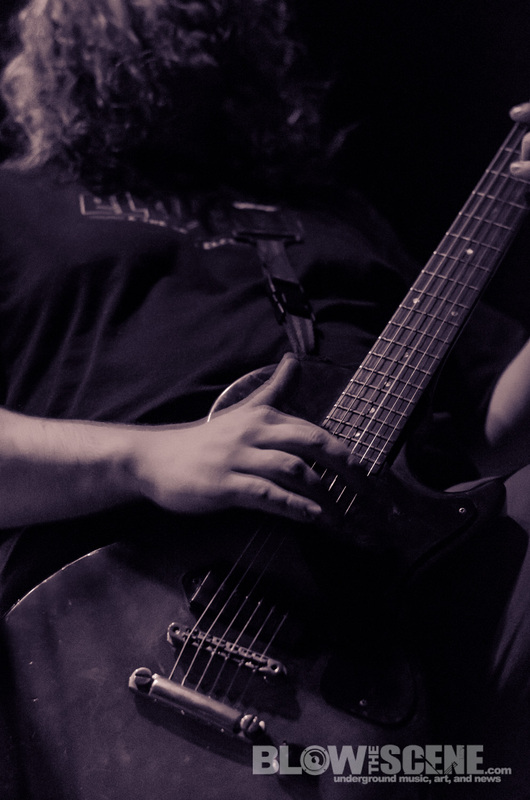 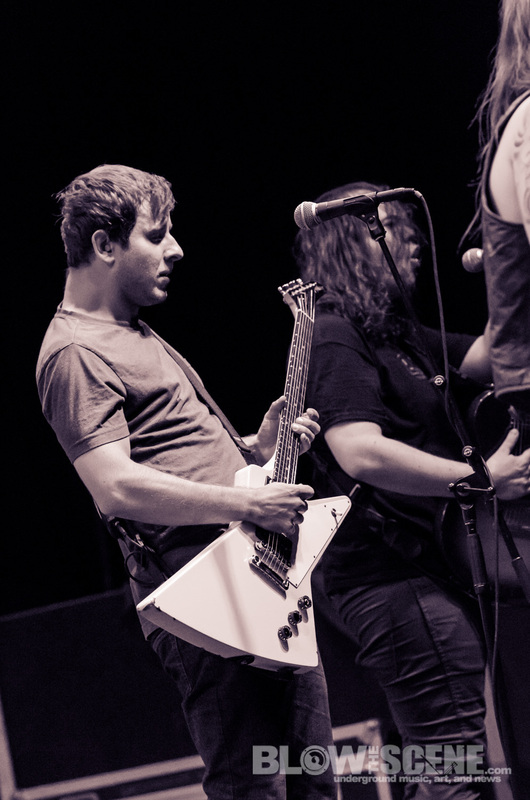 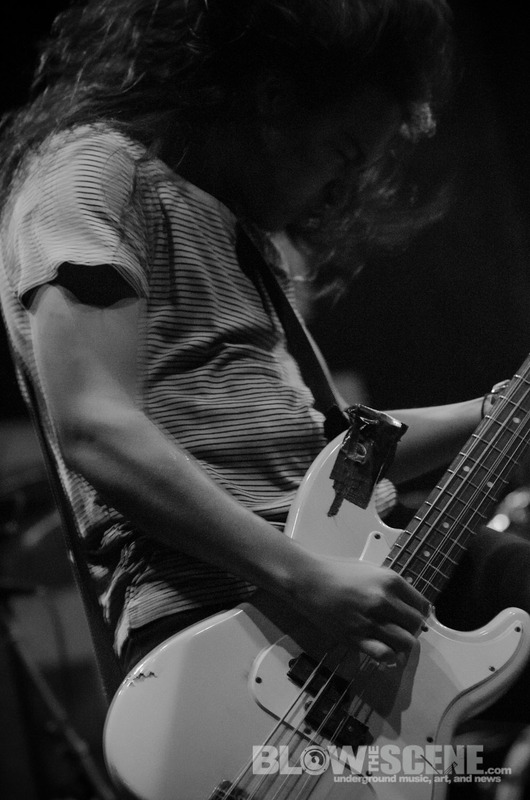 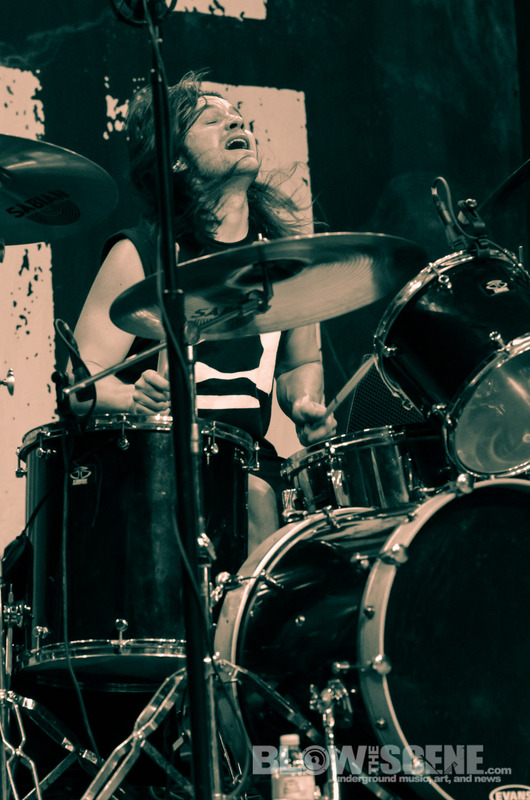 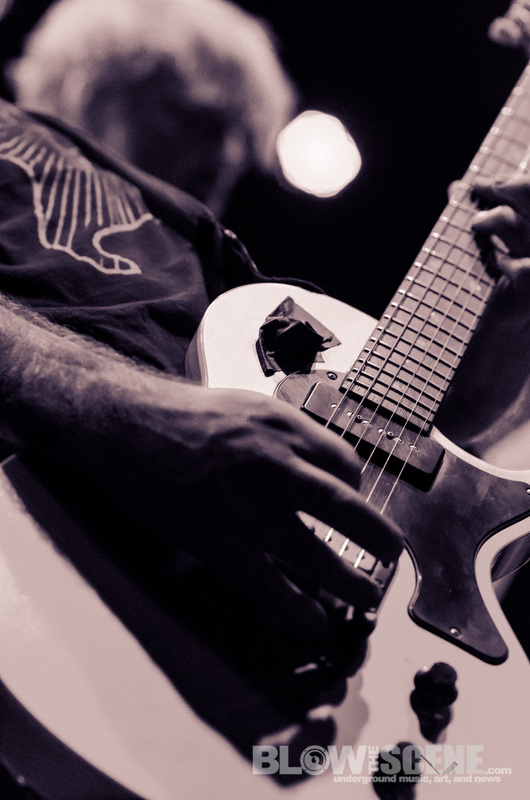 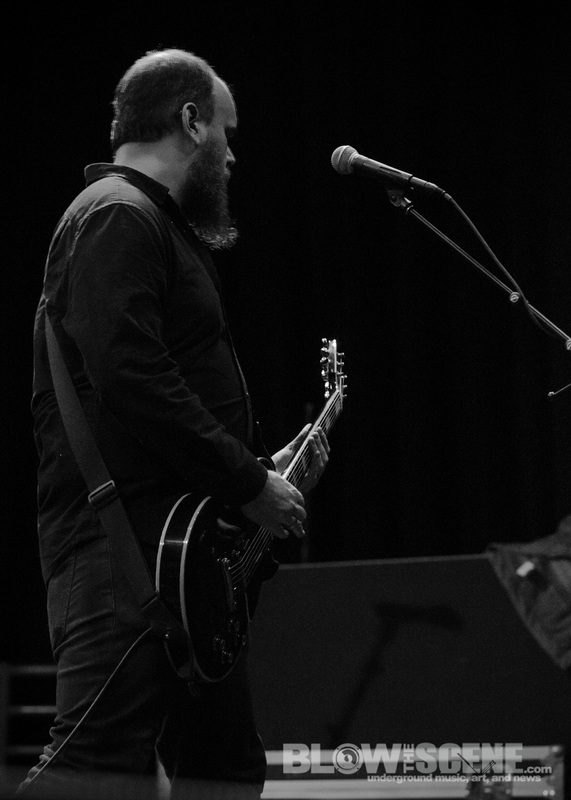 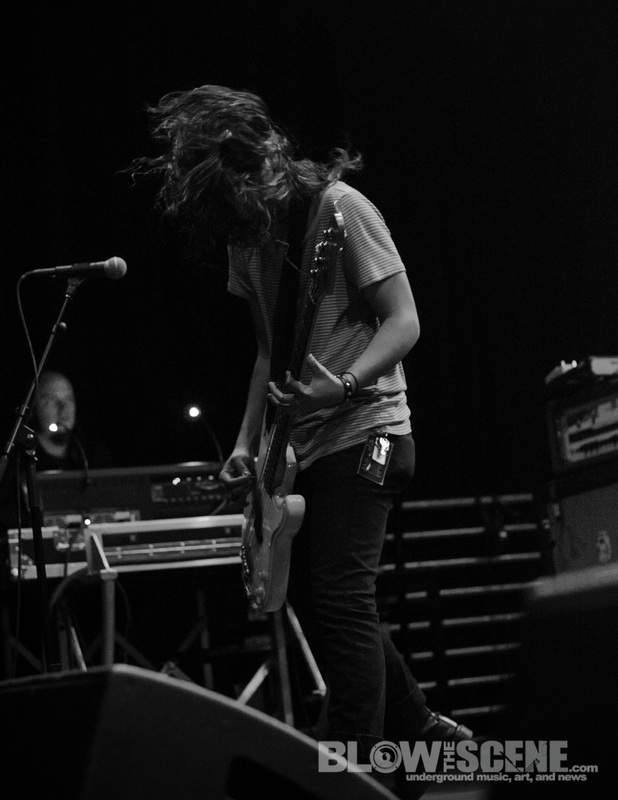 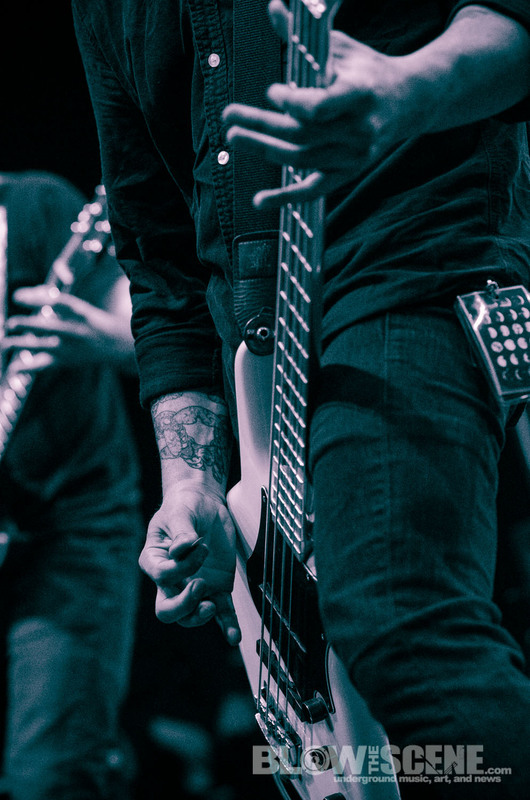 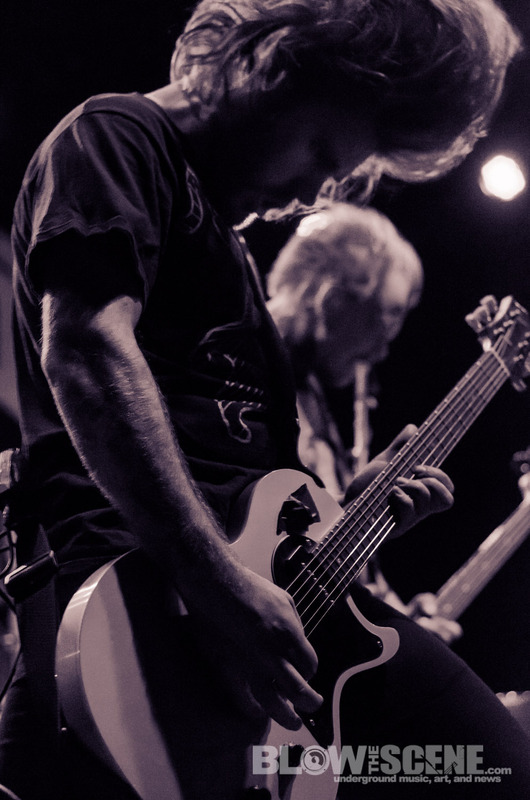 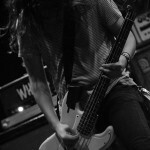 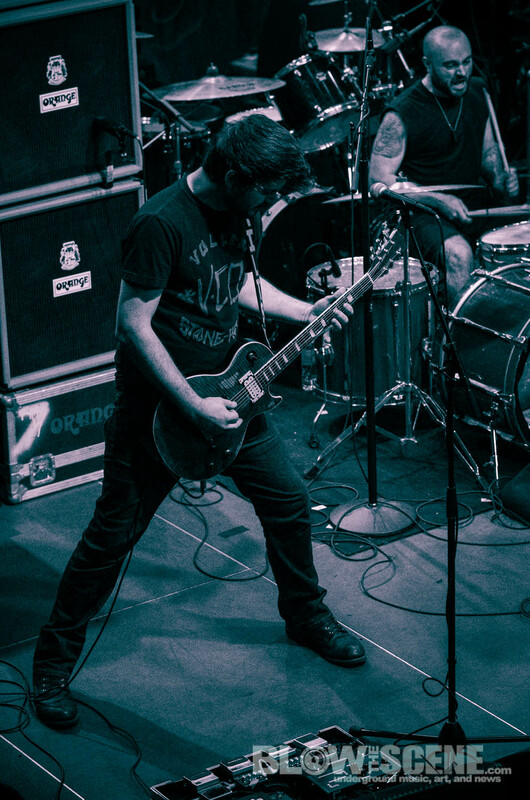 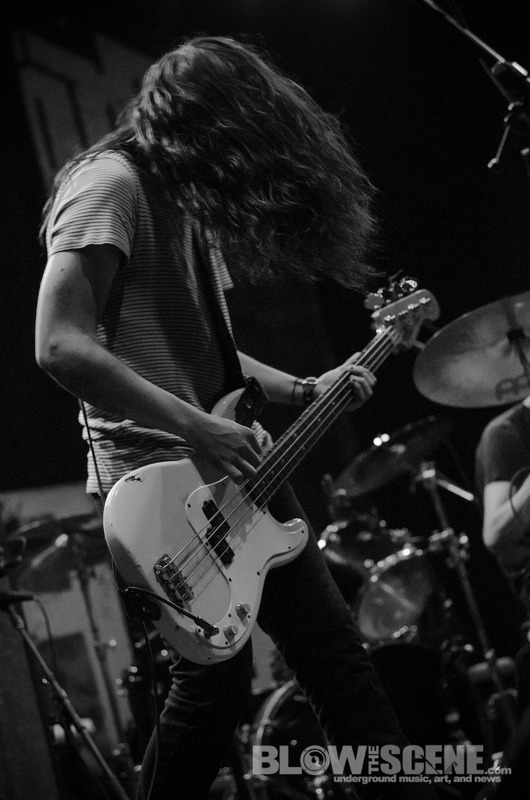 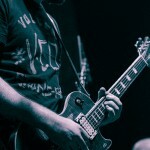 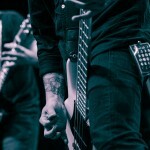 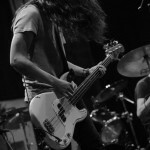 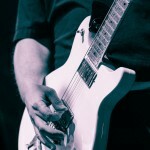 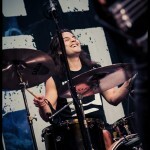 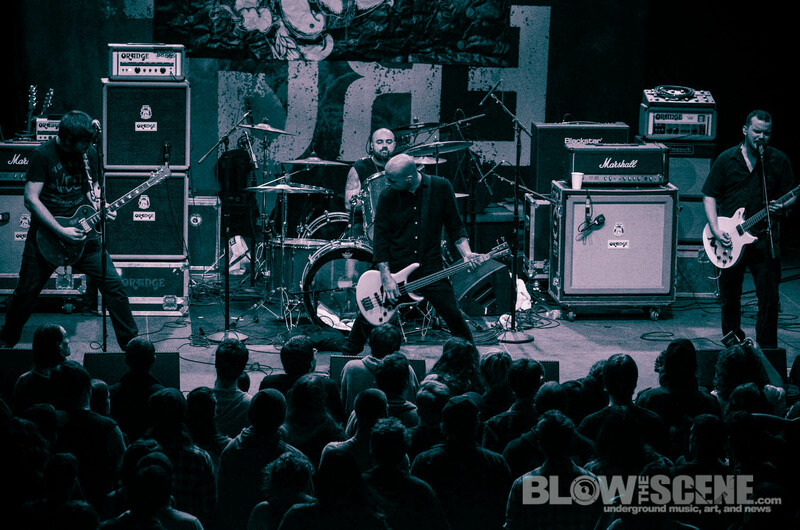 With a solid delivery unbefitting of an opening act, it’s no surprise that the members of this Louisville-based three-piece have frequented bands such as Coliseum, Black God, and Xerxes. 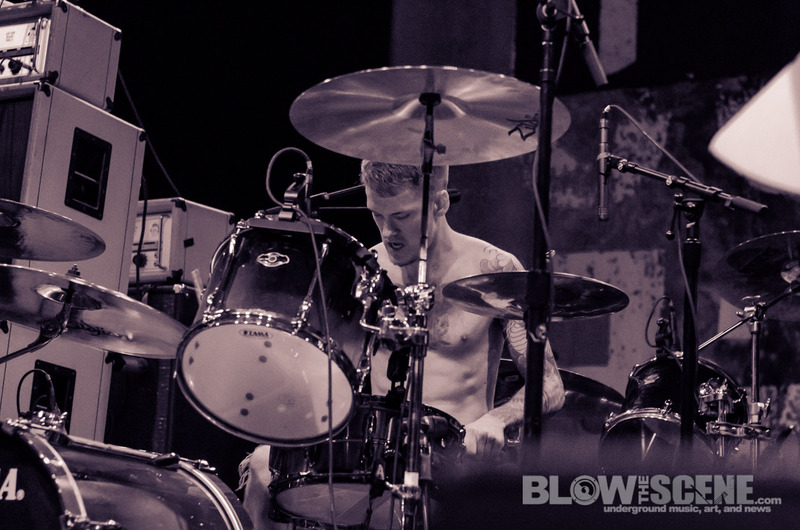 Whips/Chains is currently supporting a debut LP on Deathwish Inc, Master/Slave, which members Ben Sears(drummer) and Will Allard(bassist) were kind enough to comment on the creation process of in the interview below. 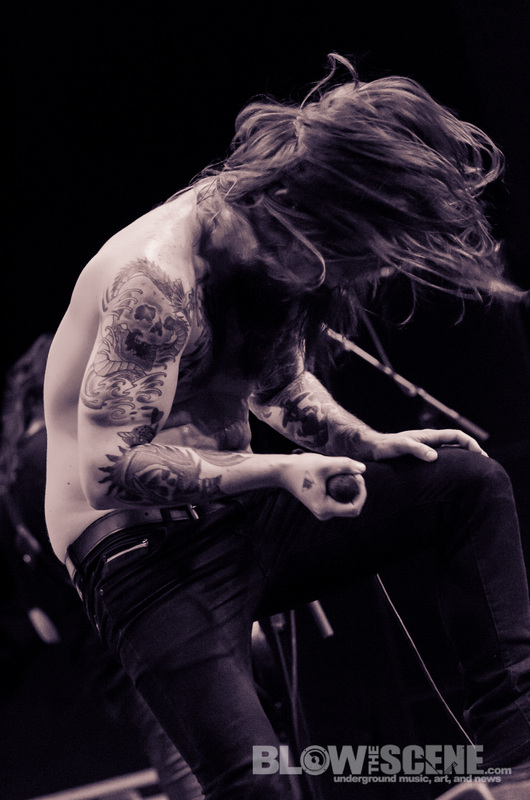 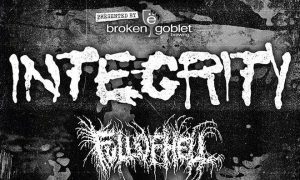 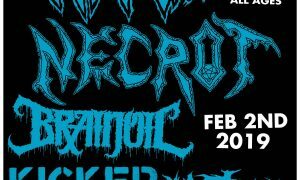 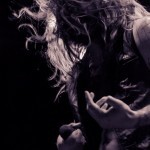 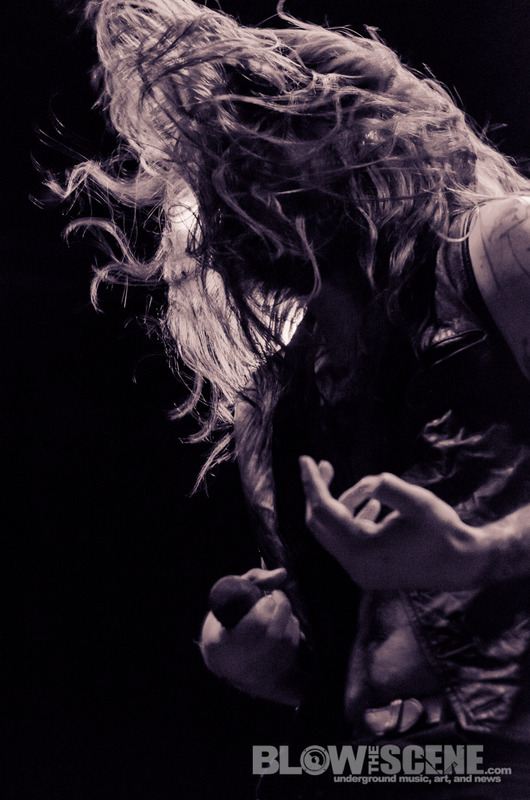 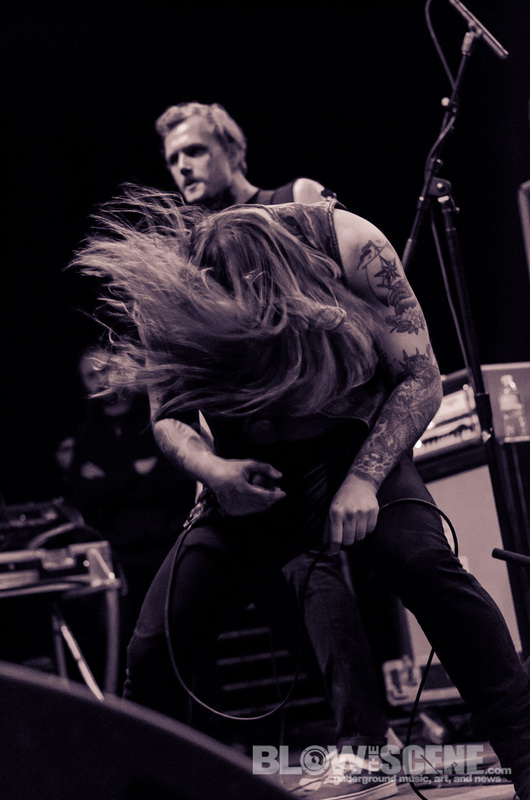 Norway’s Kvelertak set forth a whirlwind or metal-drenched rock anthems with their patented three-guitar attack amidst a 6-man barrage of riffs and headbanging that never ceases to incite raucous crowd reactions. 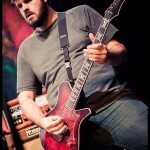 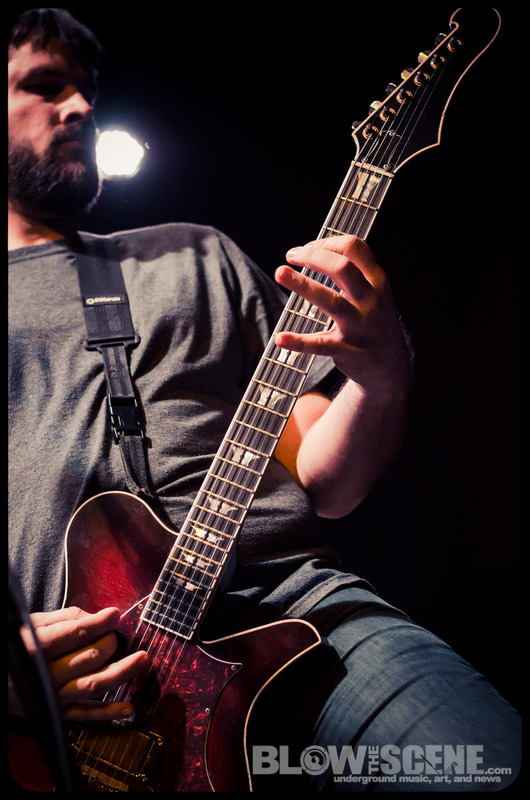 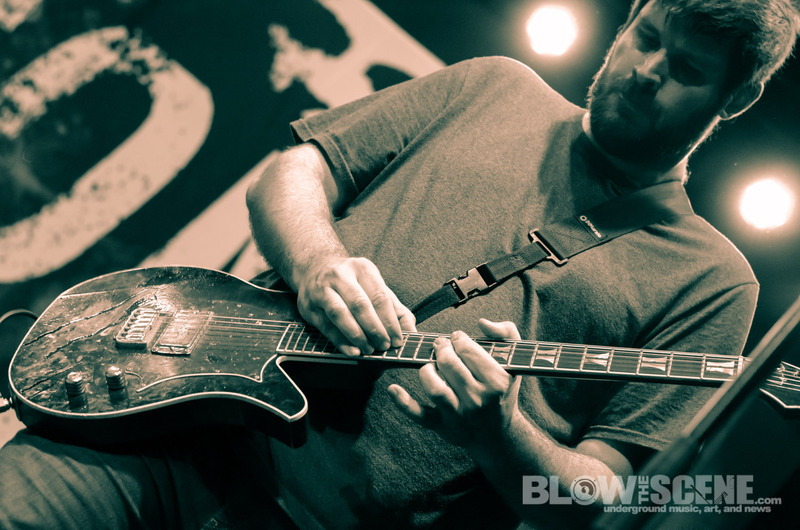 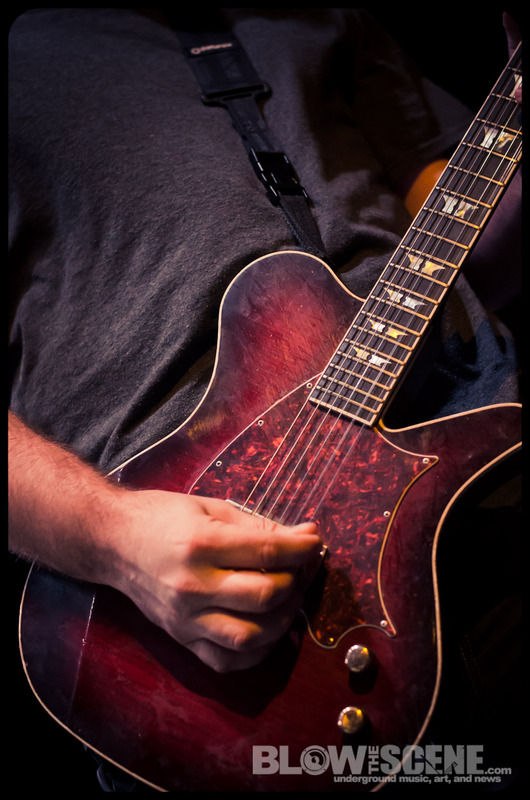 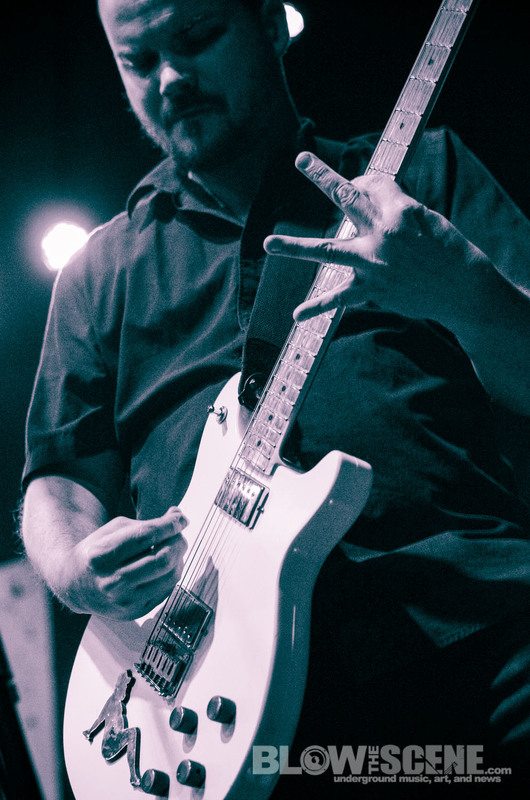 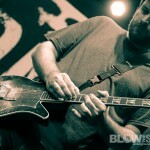 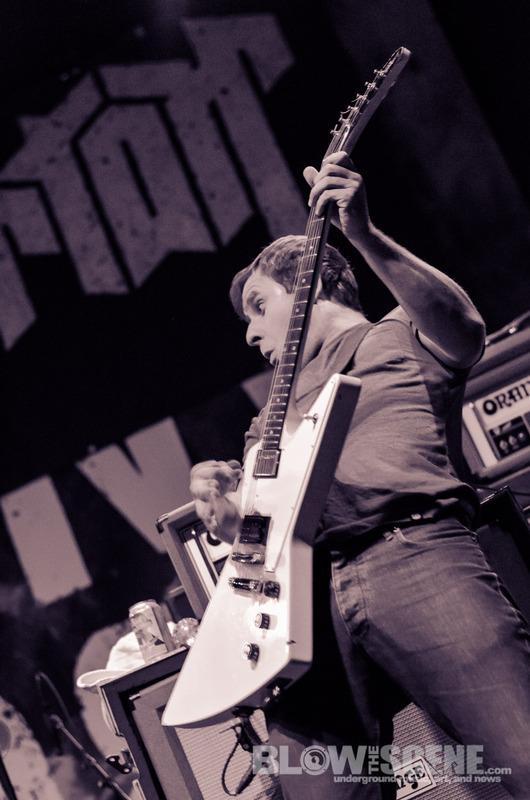 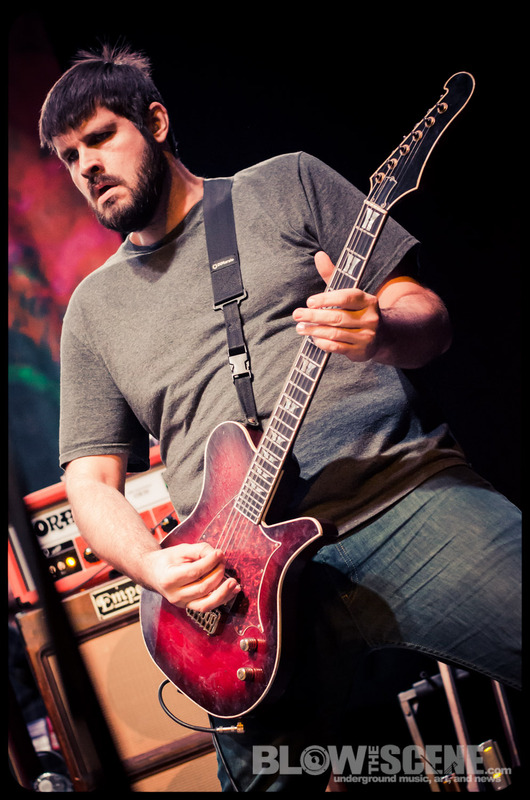 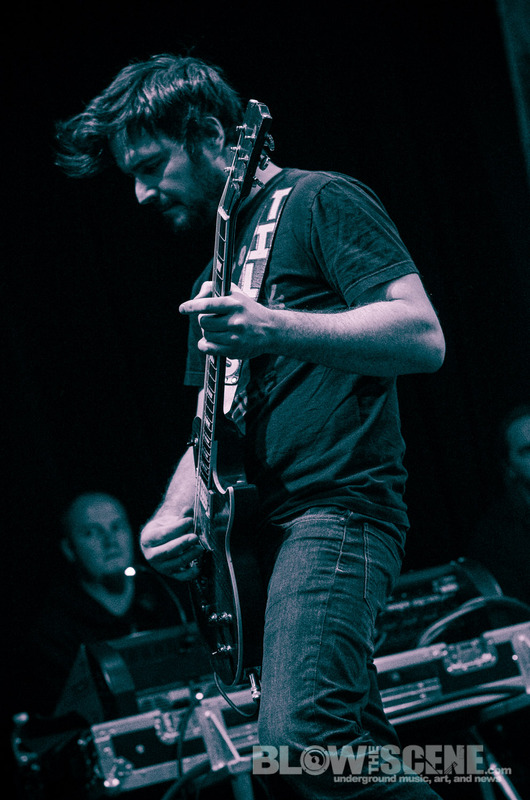 The band is fresh off of new recording sessions with God City Studios mastermind and Converge guitarist, Kurt Ballou as band prepares to release a second full-length LP in 2013 as a follow-up to 2010’s self-titled full-length on Indie Recordings. 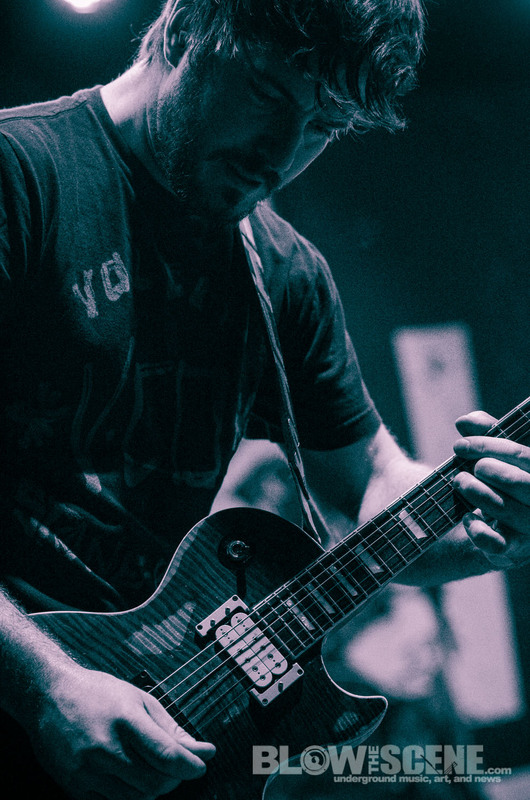 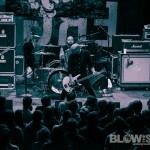 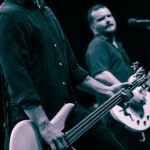 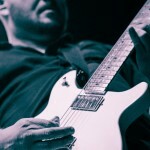 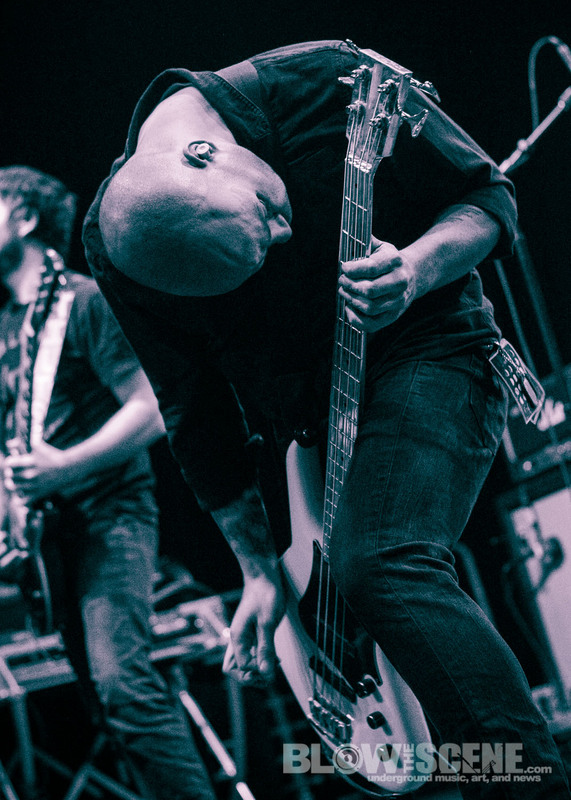 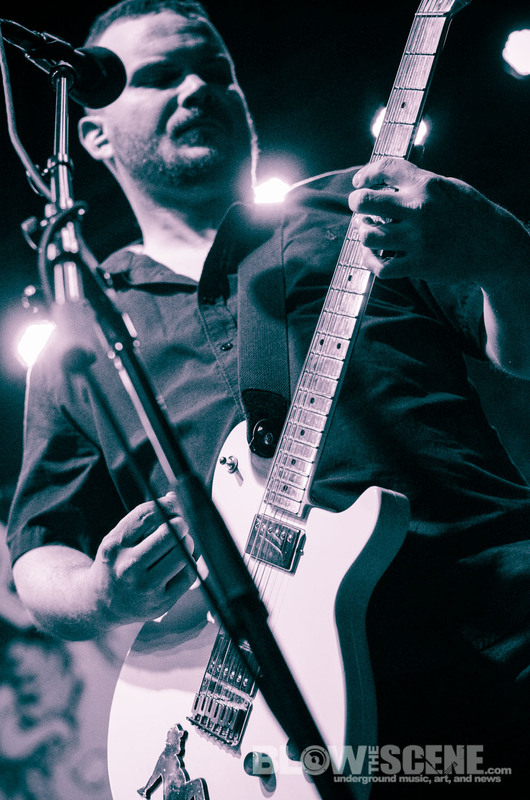 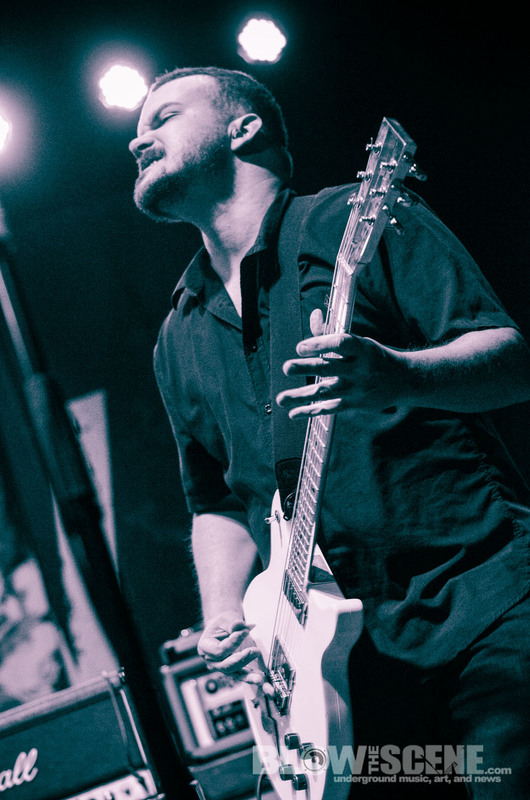 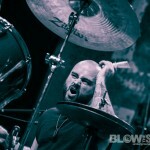 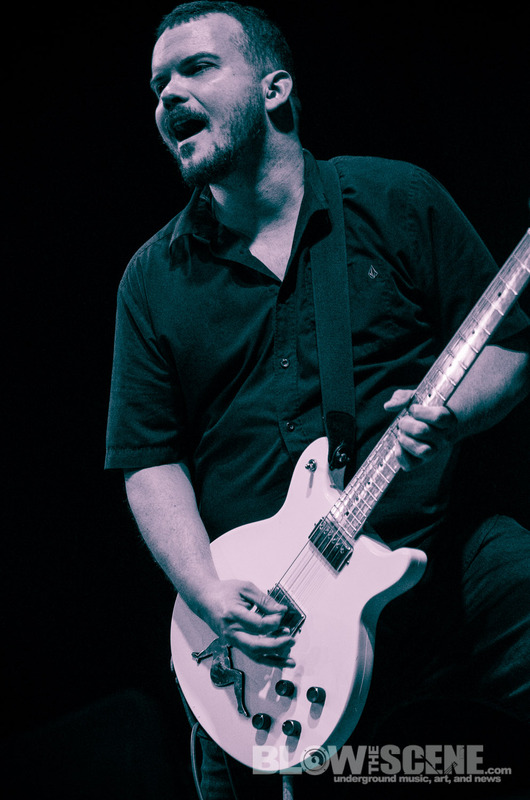 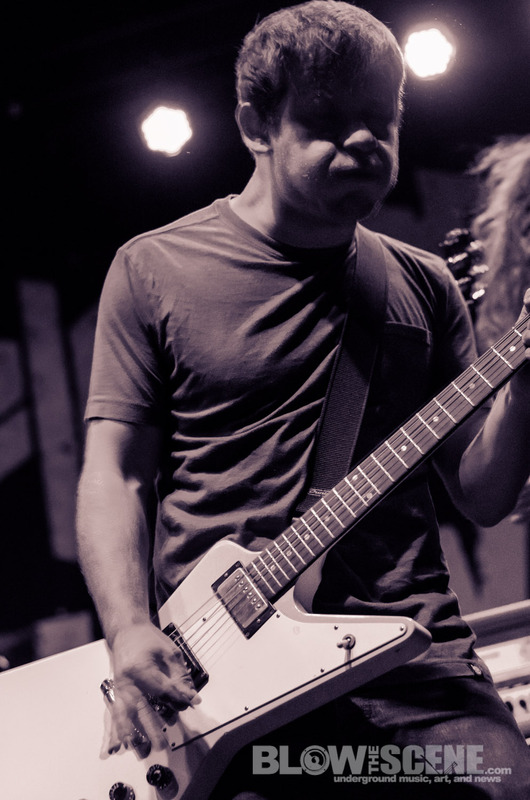 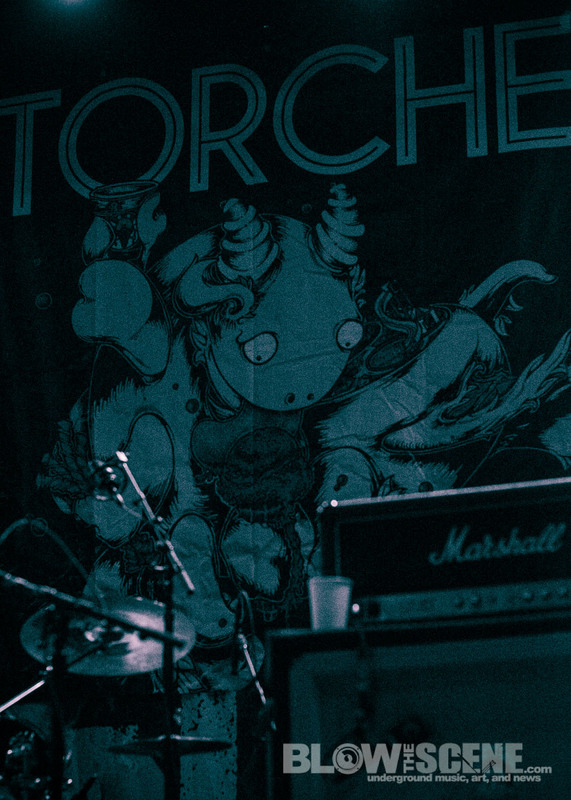 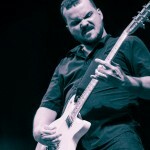 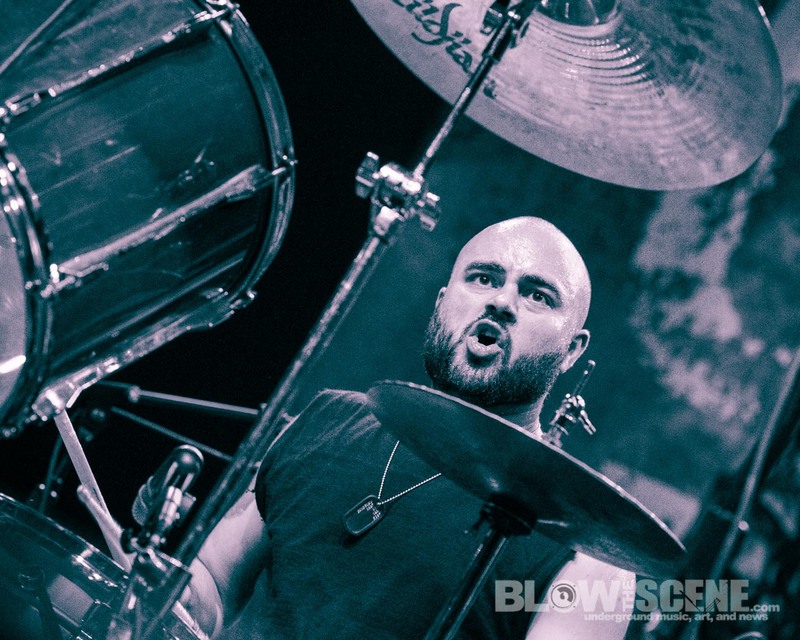 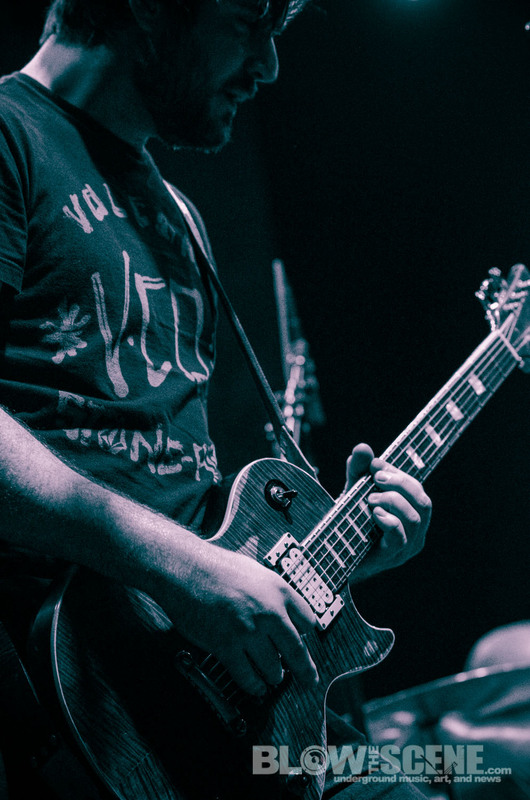 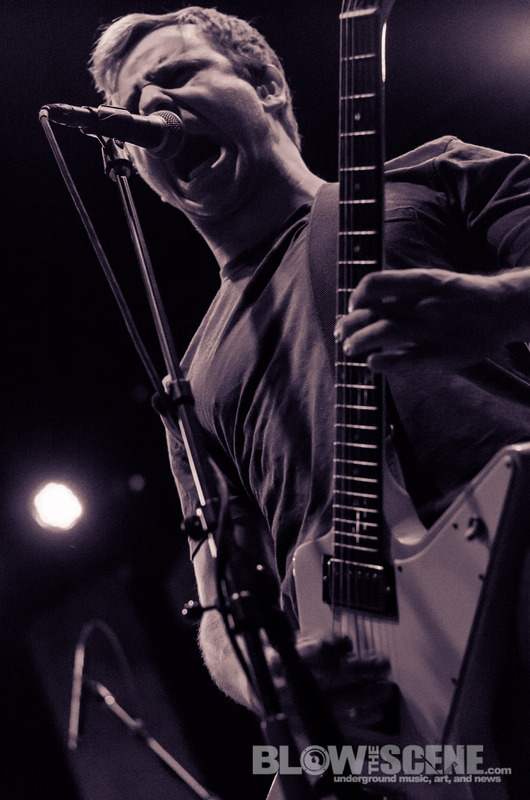 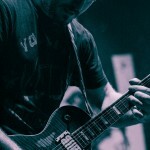 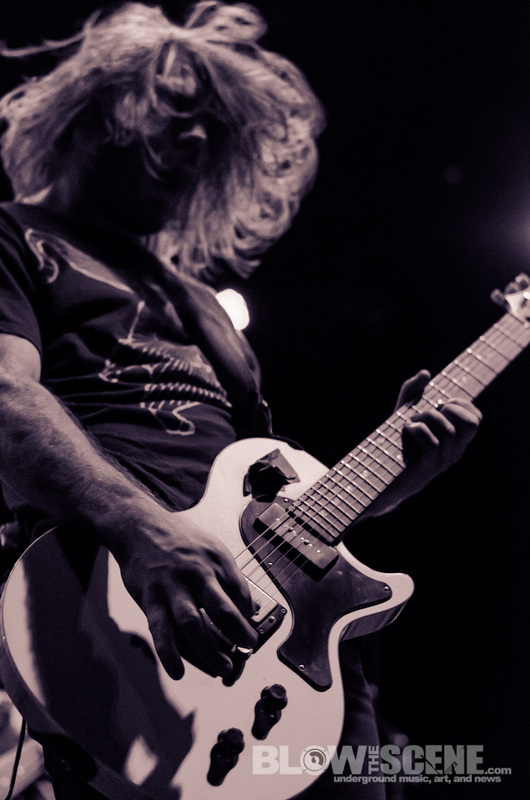 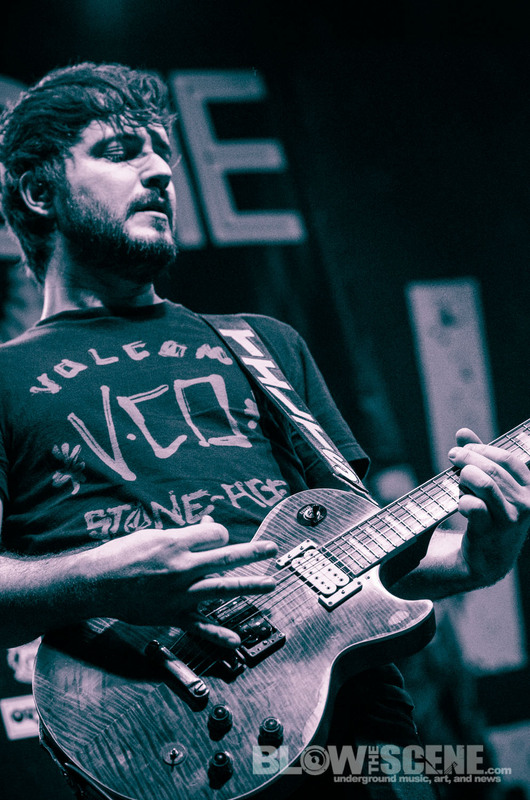 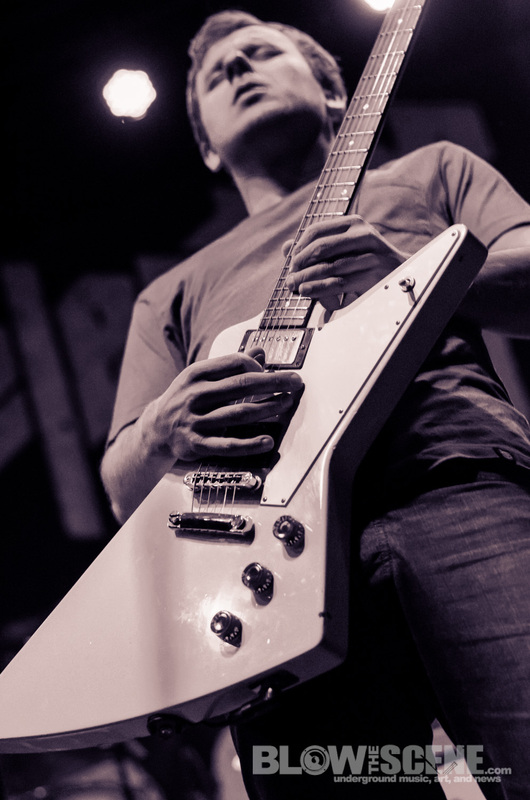 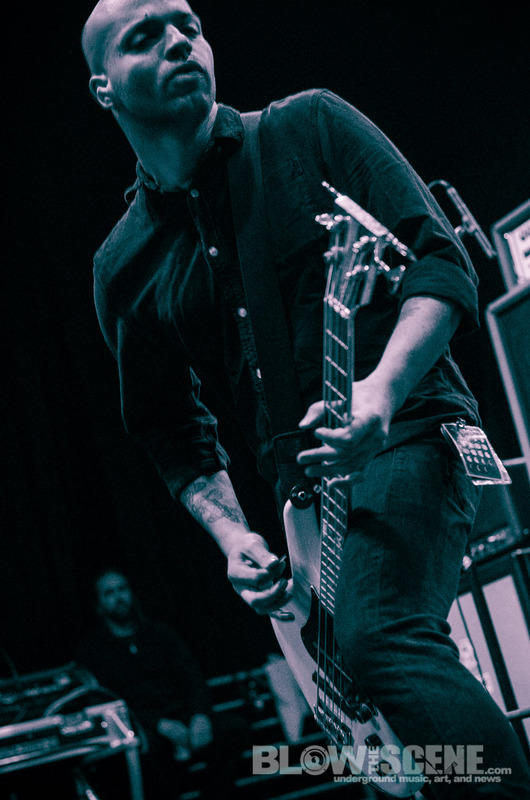 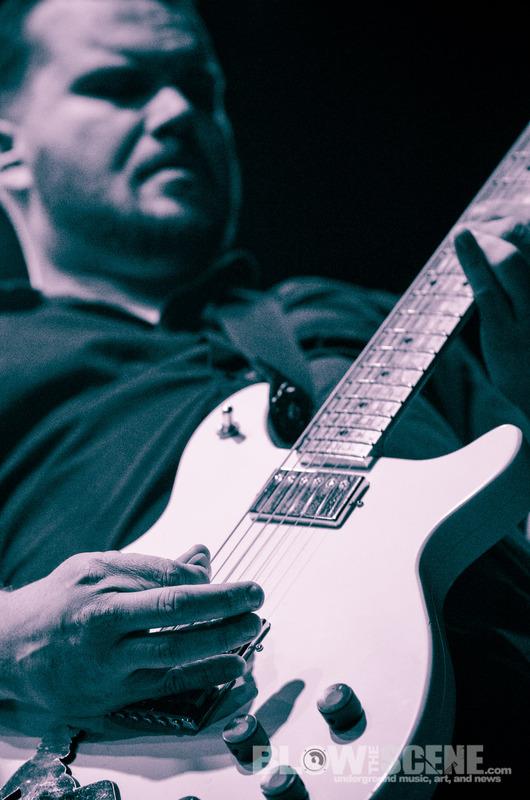 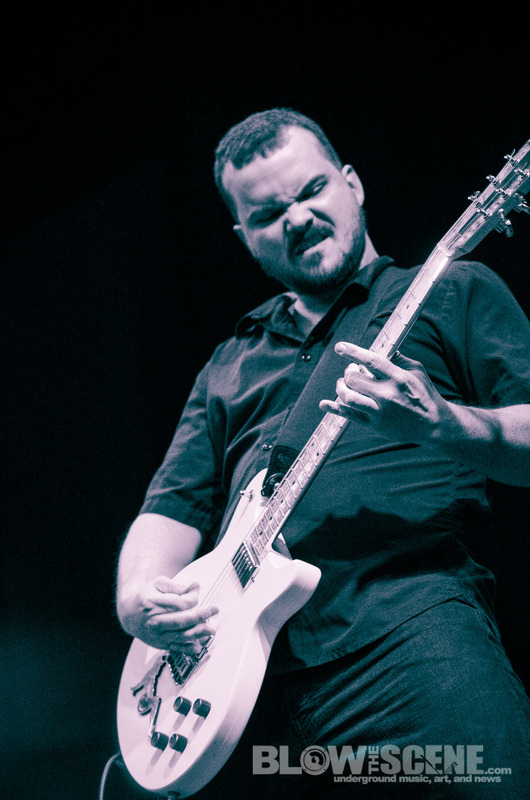 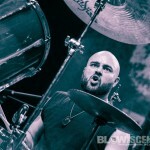 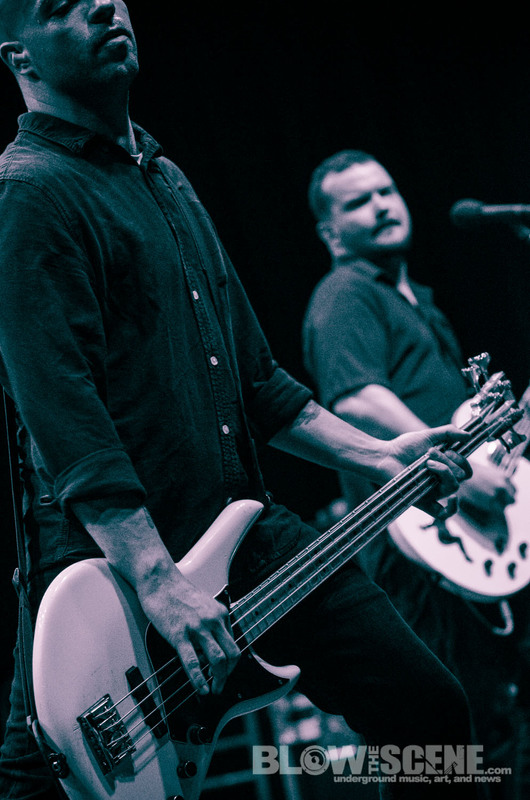 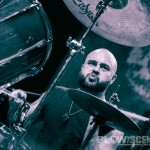 South Florida’s Torche offered their fun and distinctive spin on metal with a poignant set that showcased the band’s ability to fuse everything from sludge to pop into one cohesive and exciting sound. 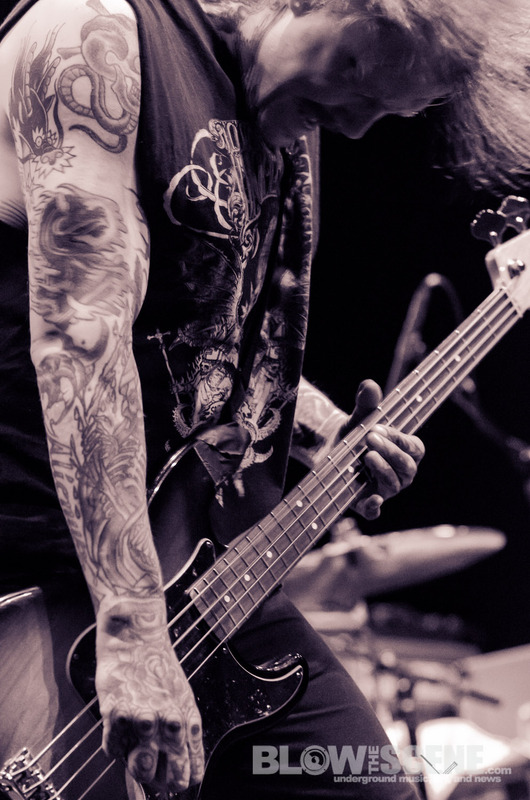 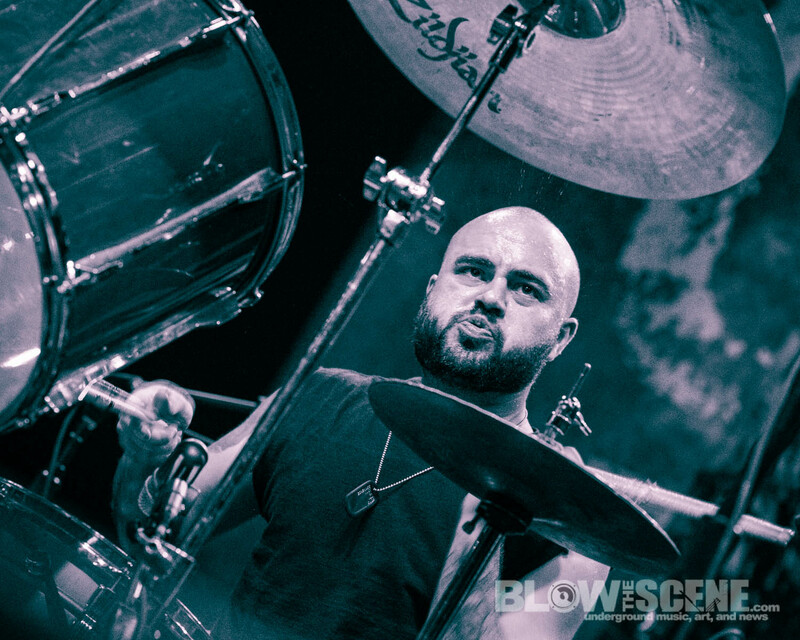 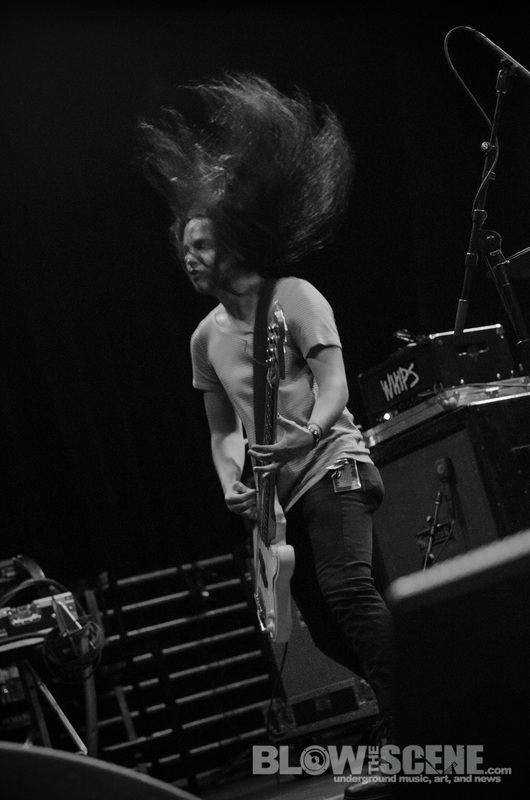 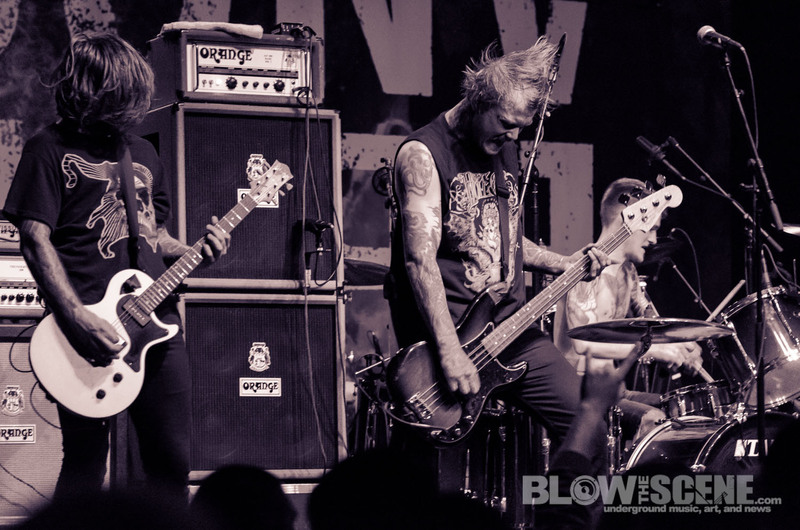 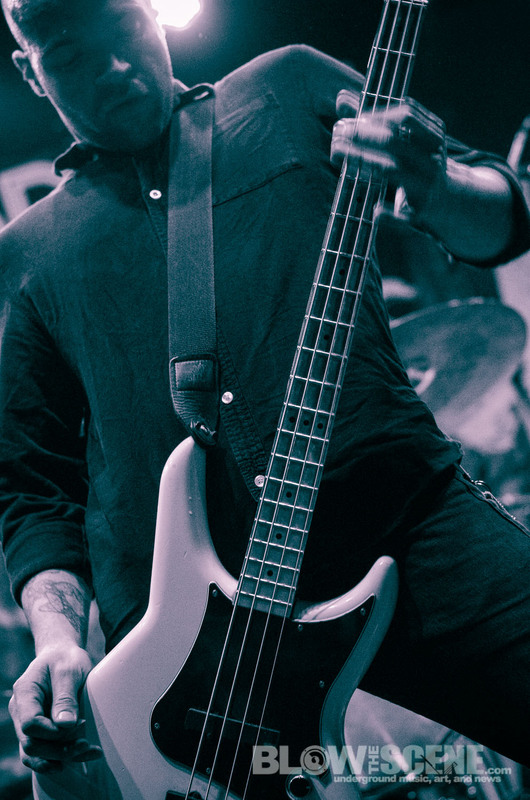 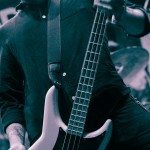 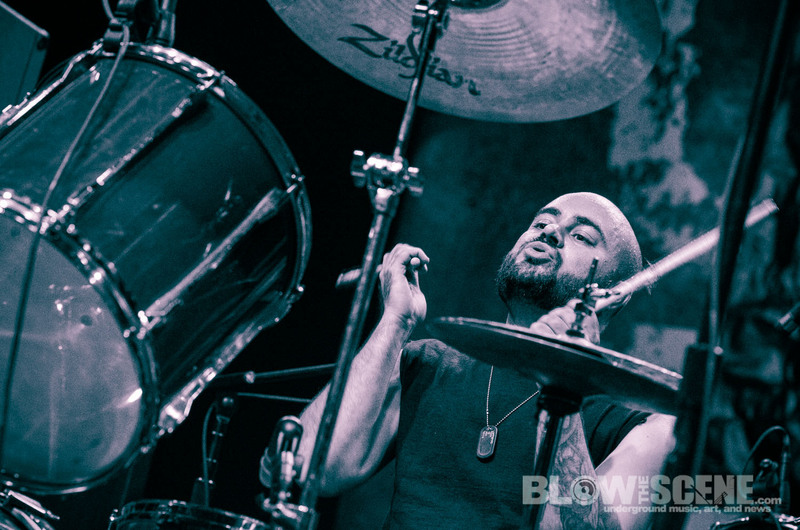 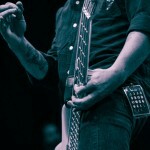 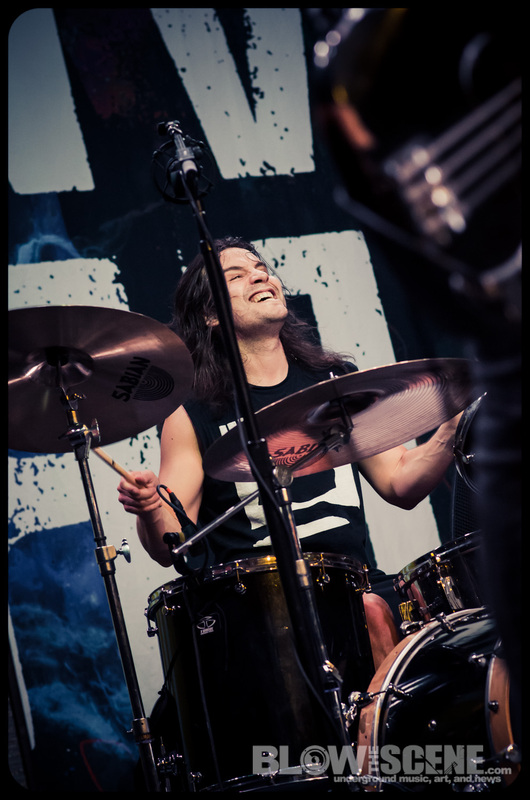 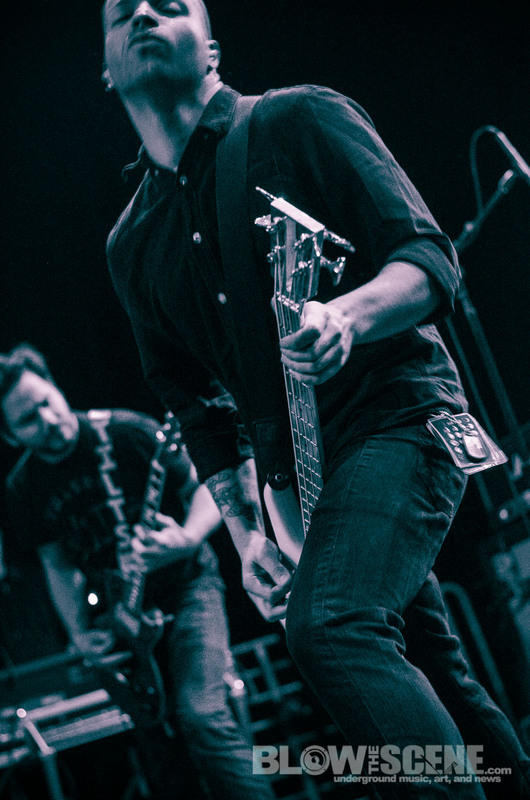 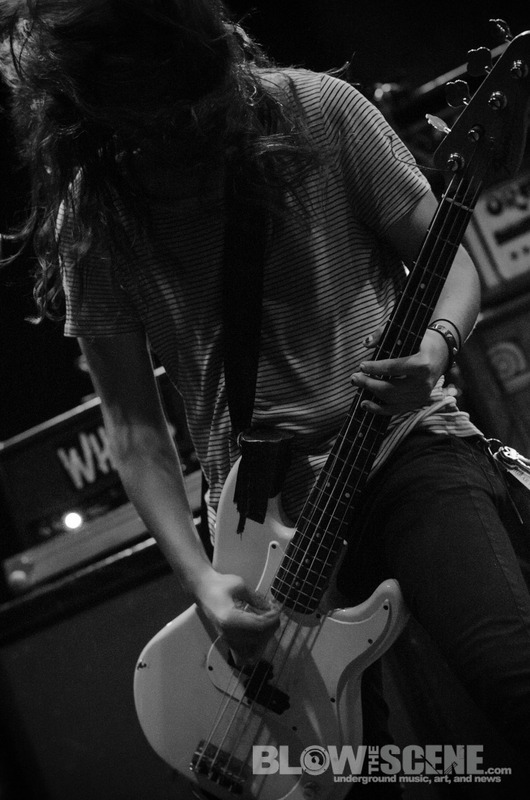 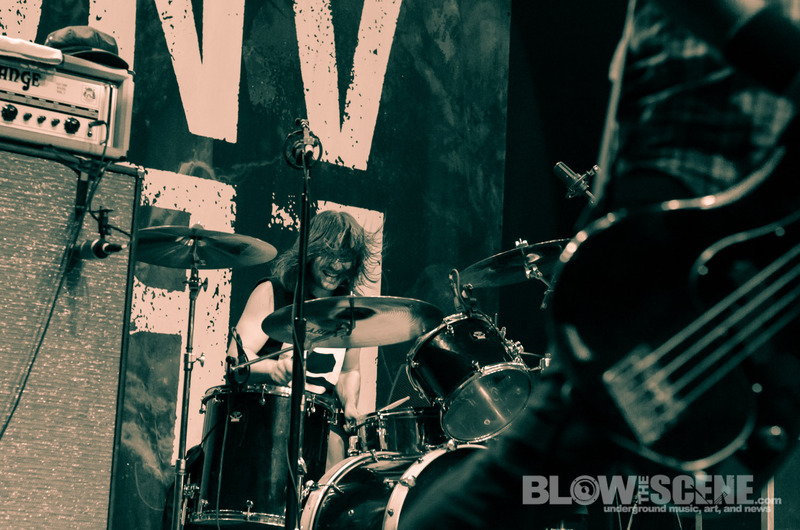 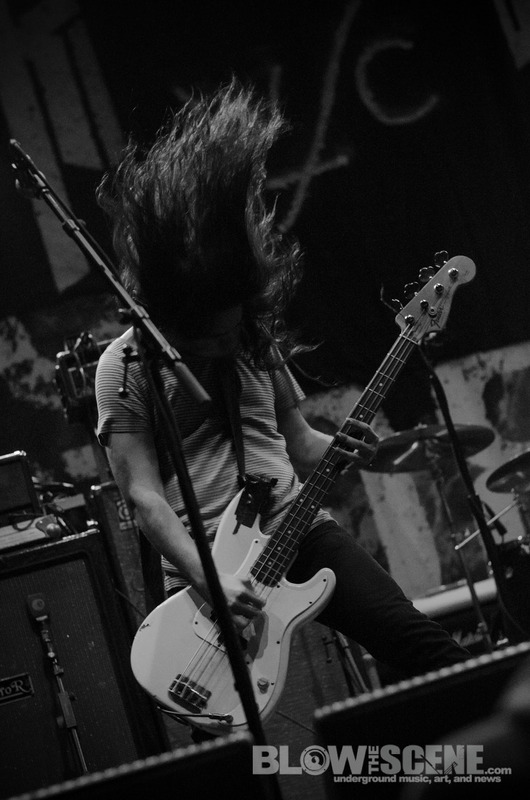 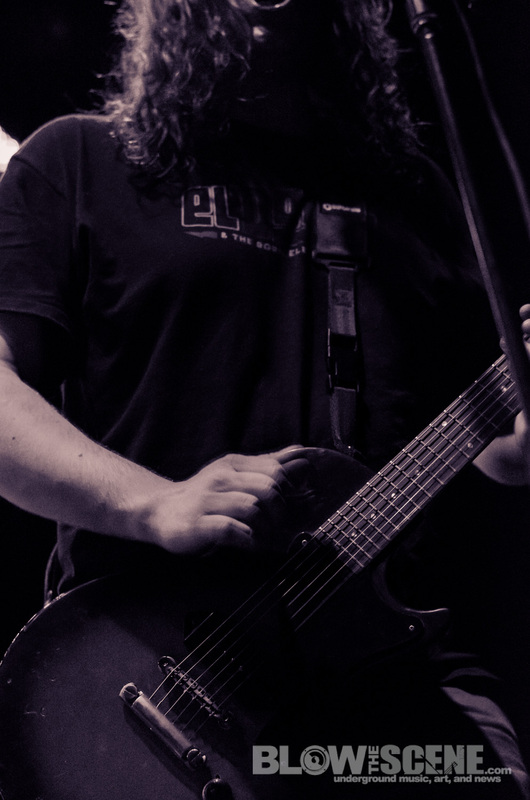 Bassist Jonathan Nuñez was kind enough to sit down with Blow The Scene’s Joshua T. Cohen, for an exclusive interview following the band’s performance where he touched on the writing and recording process behind the band’s latest studio work, Harmonicraft on Volcom Entertainment. 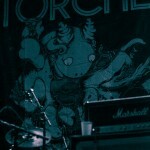 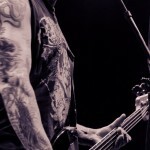 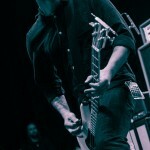 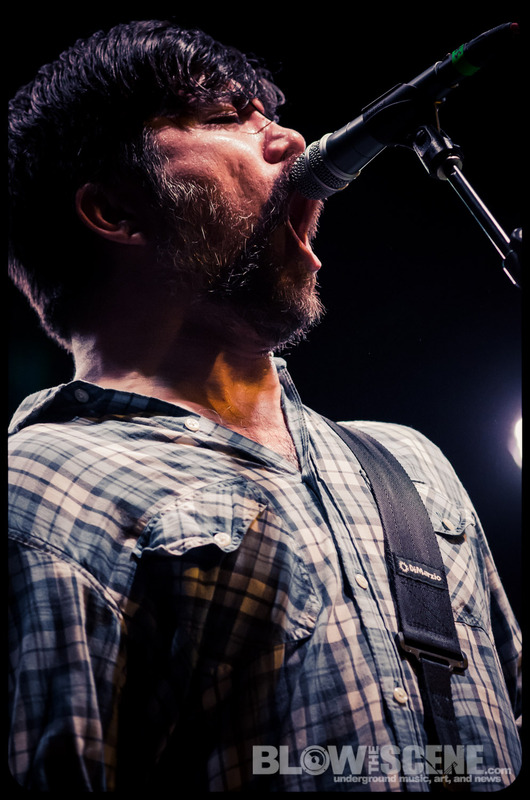 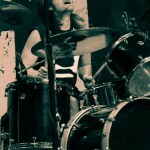 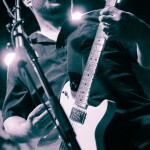 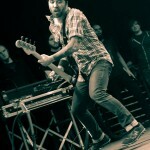 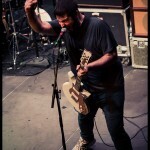 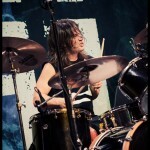 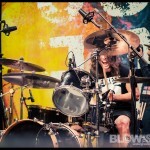 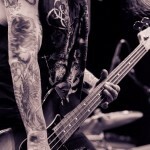 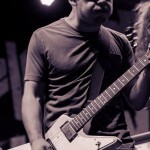 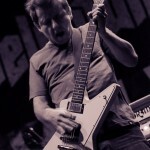 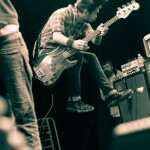 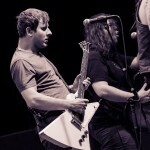 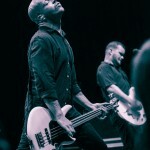 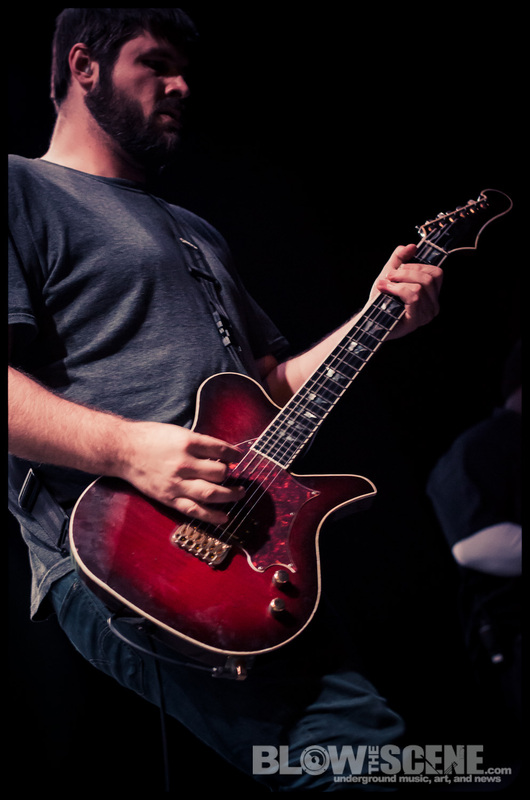 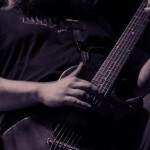 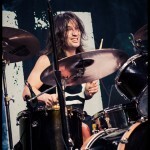 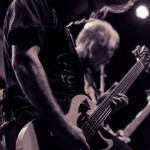 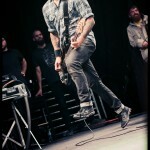 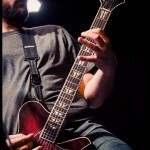 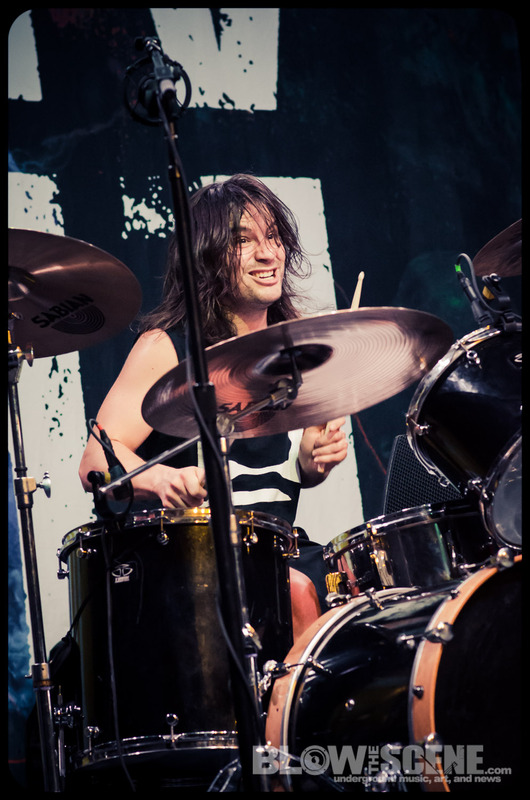 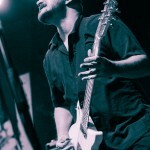 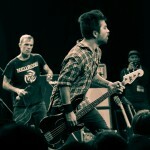 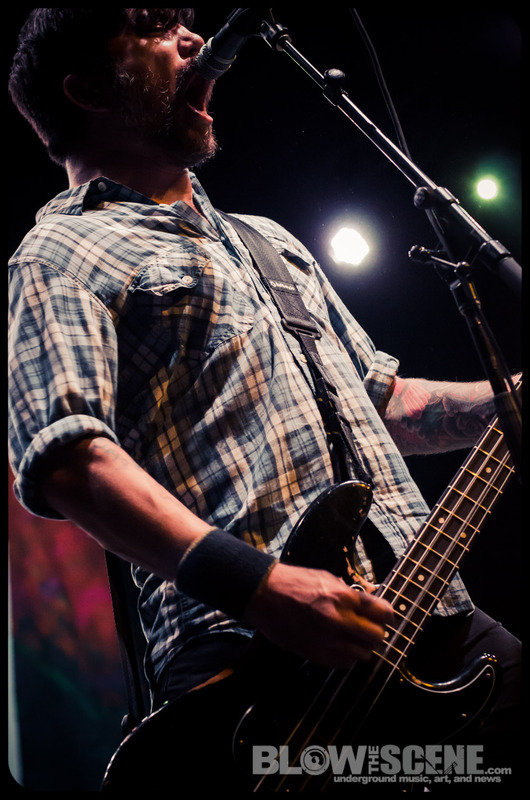 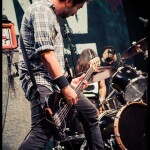 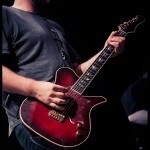 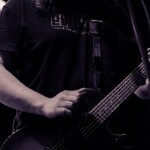 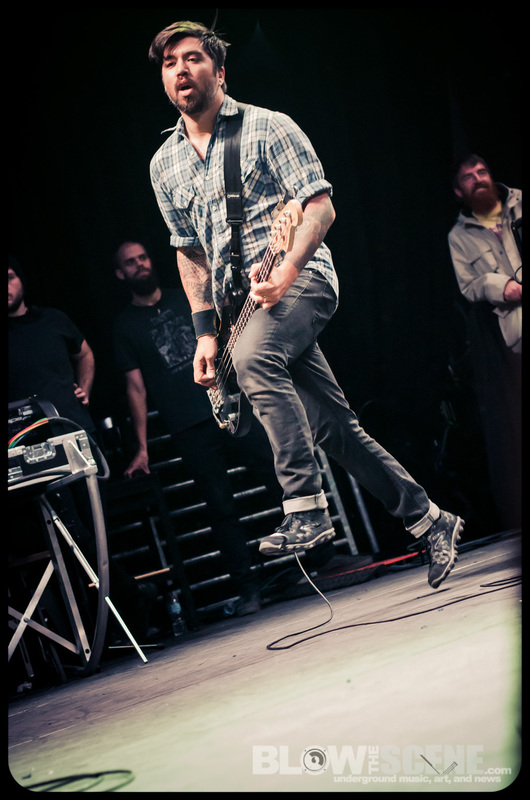 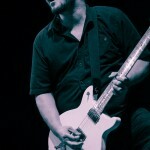 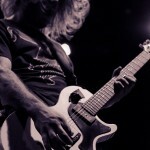 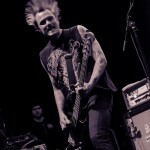 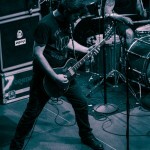 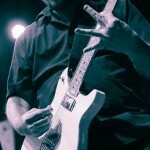 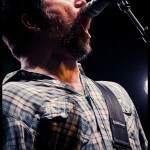 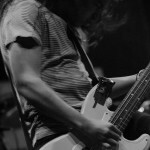 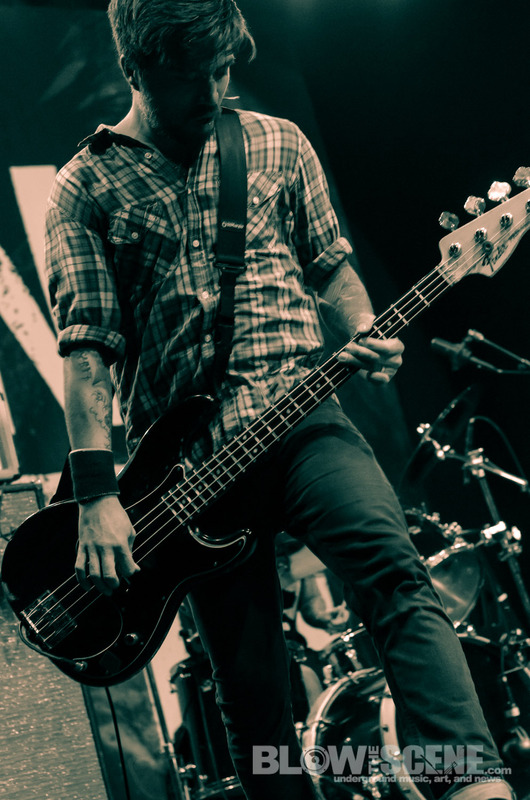 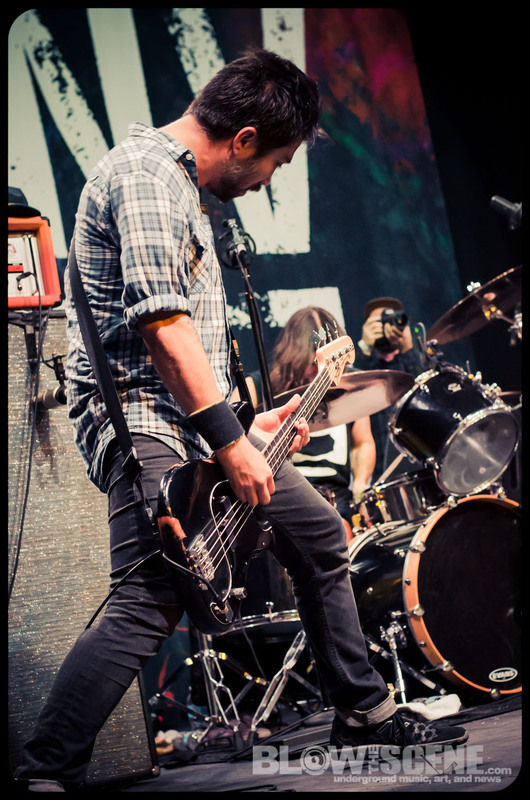 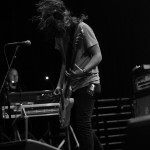 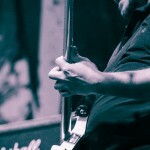 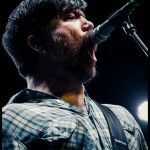 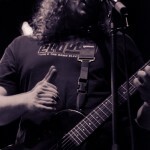 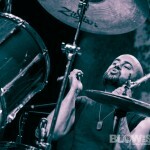 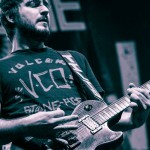 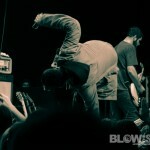 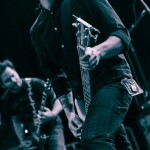 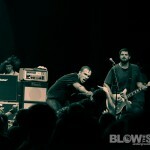 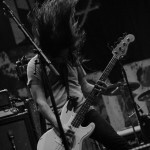 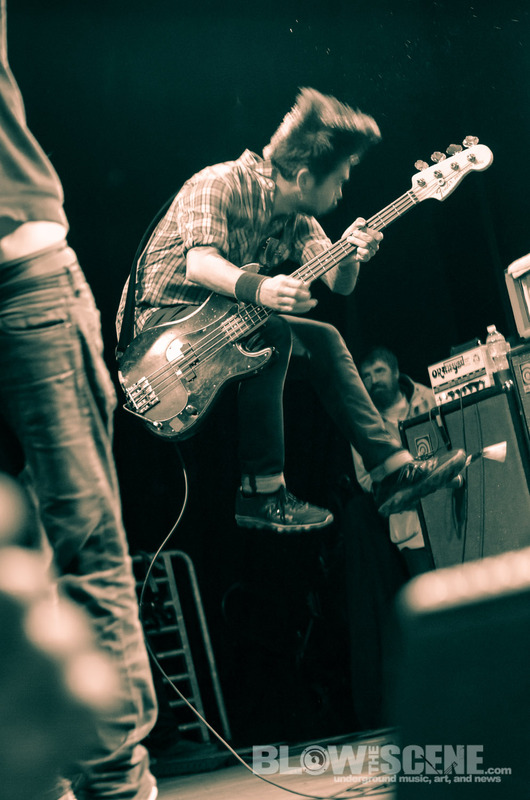 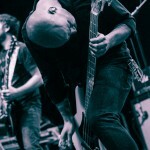 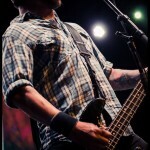 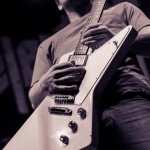 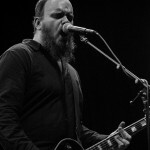 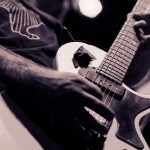 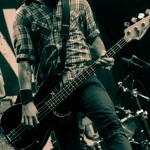 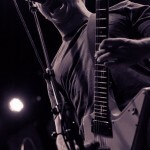 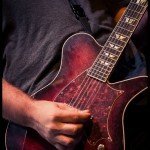 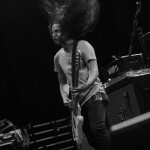 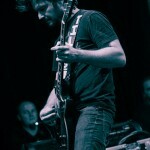 Nuñez also describes the band’s plans for 2013, side projects and more starting with PT I of Torche Interview below. 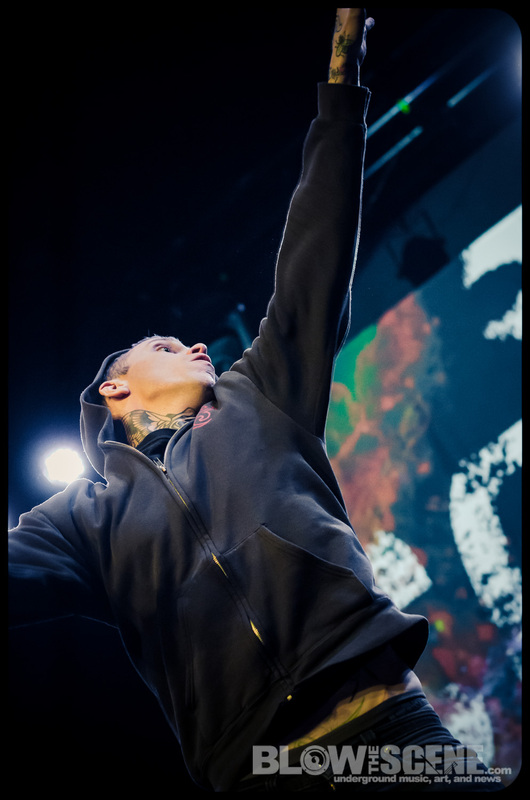 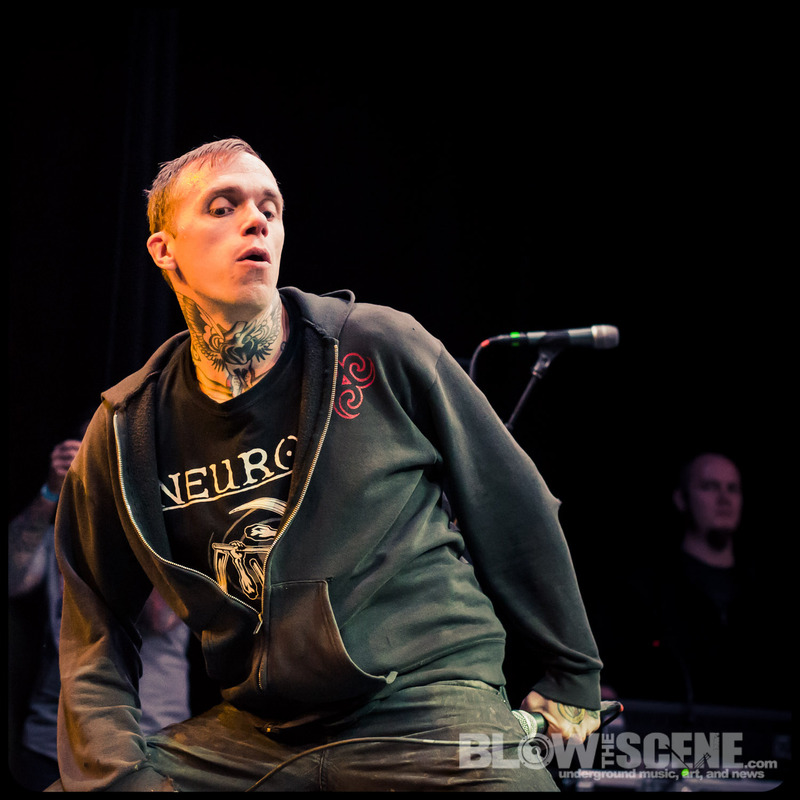 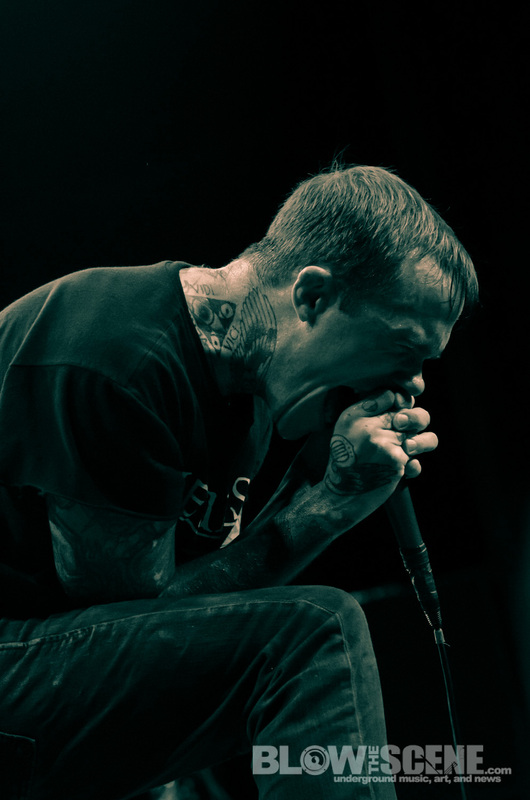 Converge hit the stage with a flurry of songs that spanned the band’s prolific career, immediately inciting an explosive response from the audience. 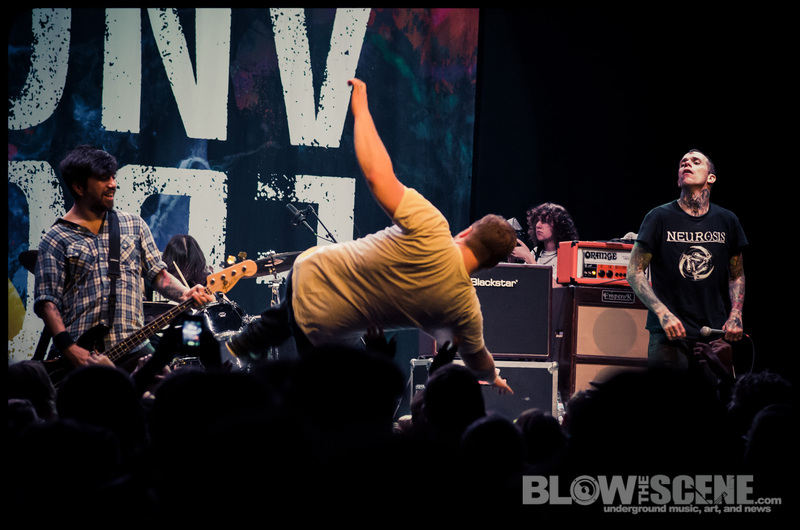 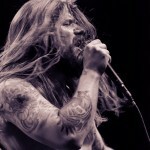 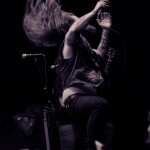 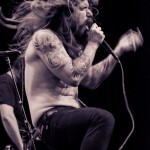 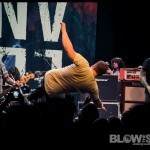 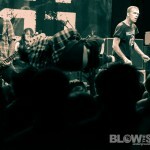 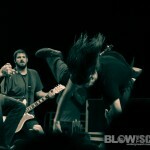 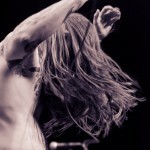 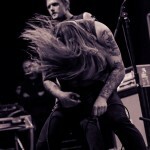 Bodies flew to and from the stage as singer Jacob Bannon screamed a flailed about in band’s usual possessed-like state of frenzy. 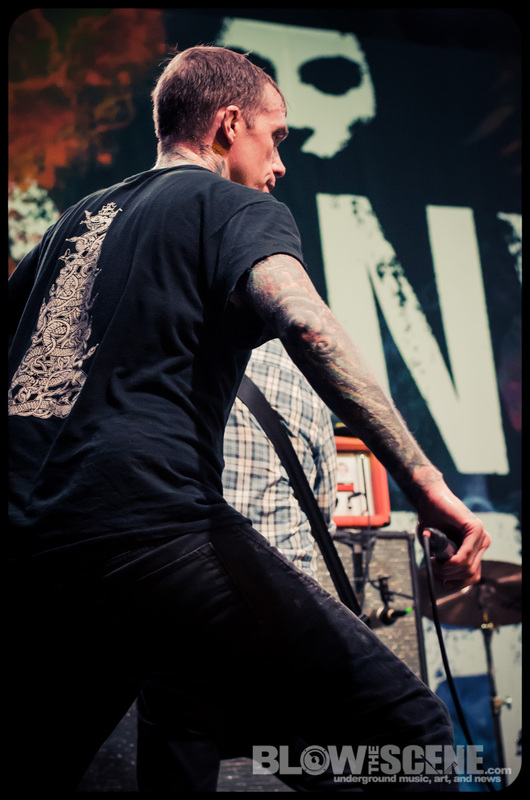 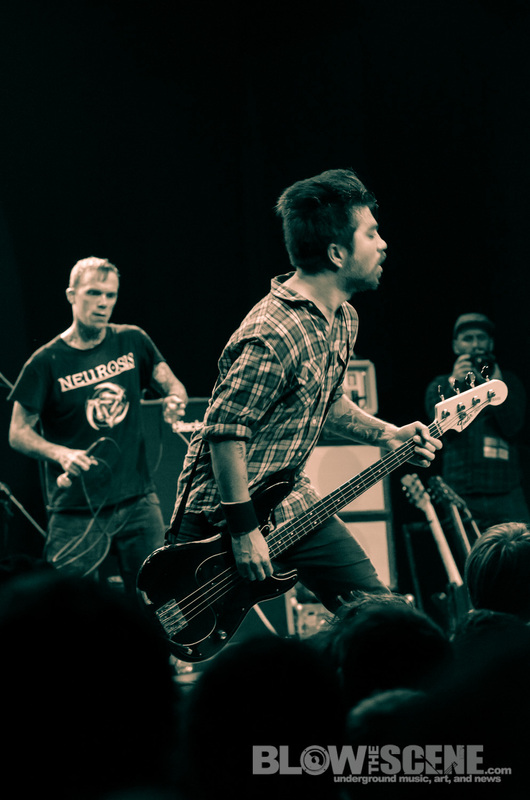 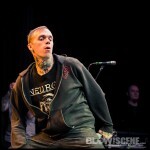 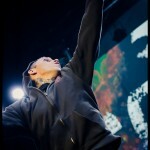 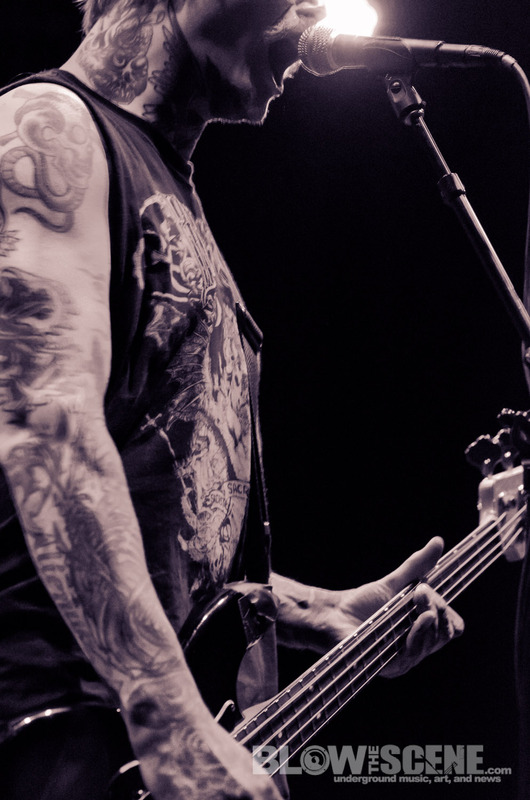 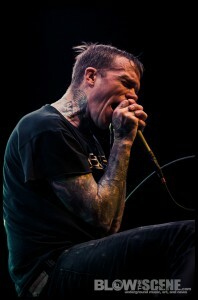 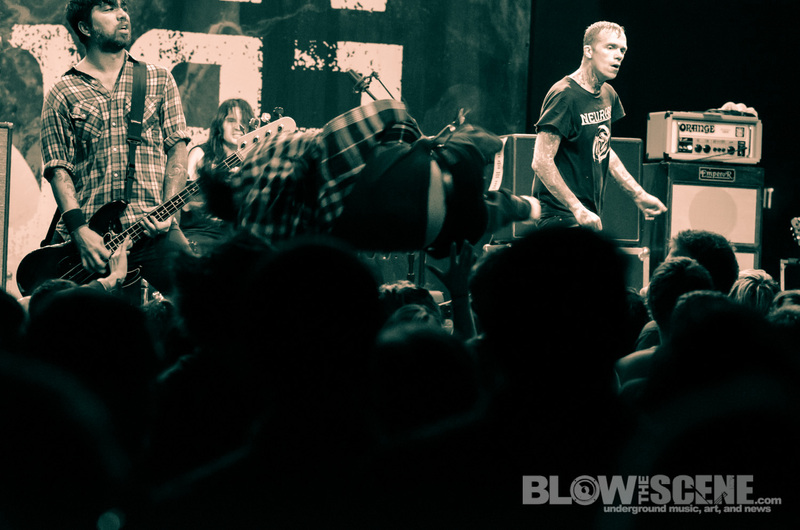 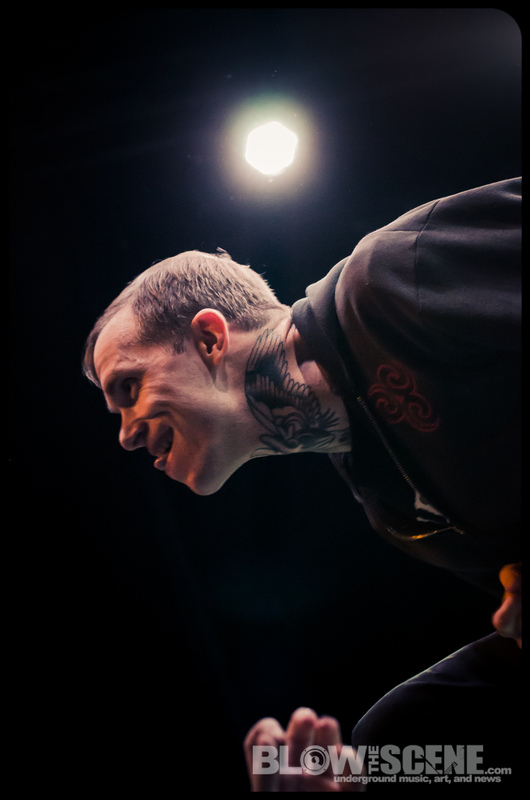 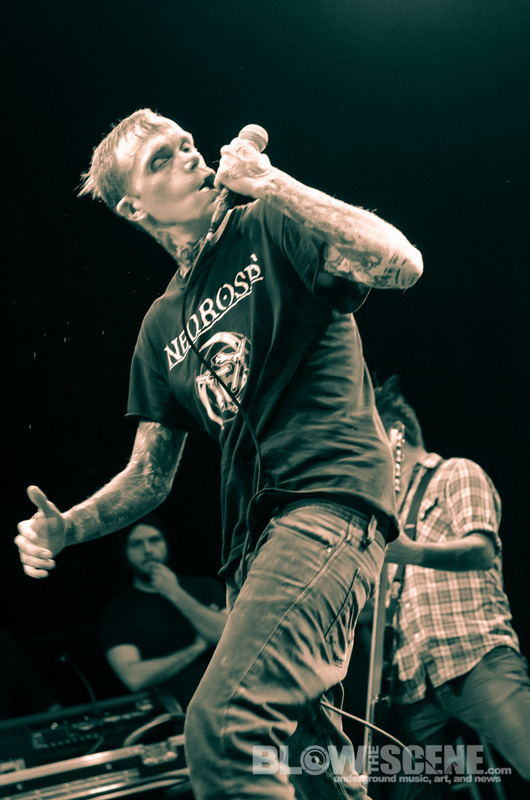 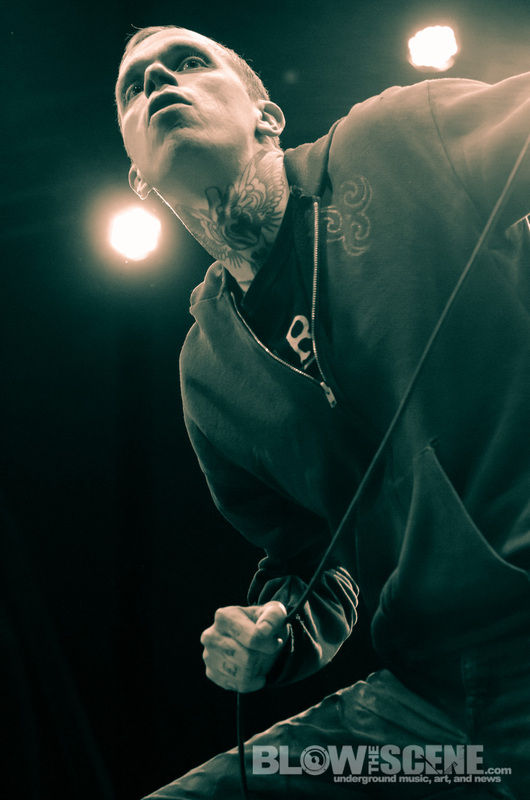 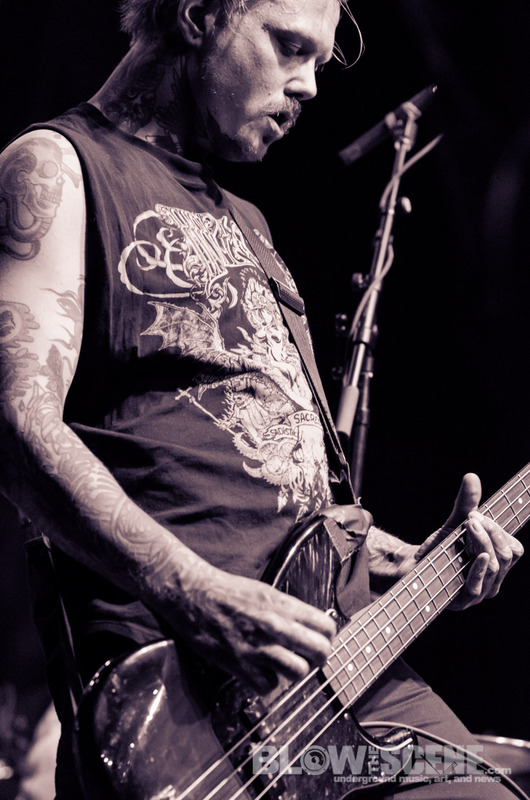 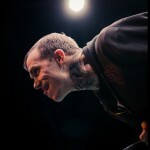 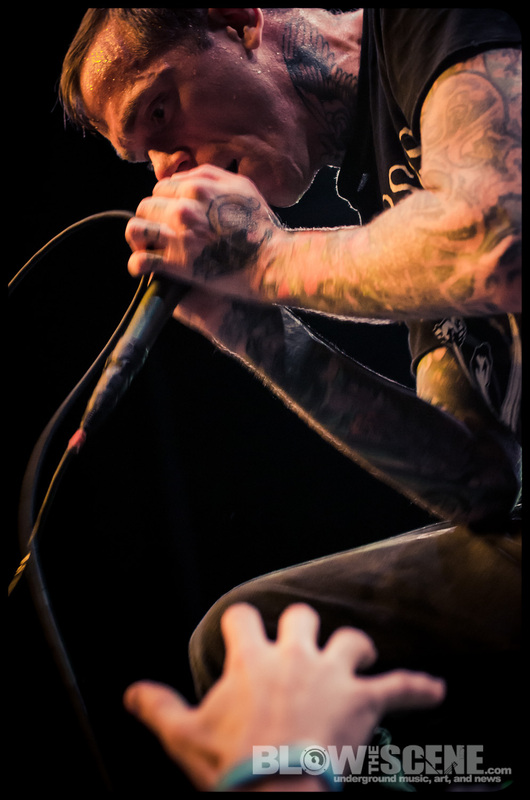 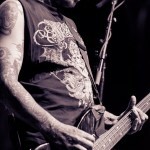 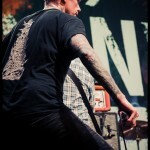 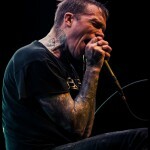 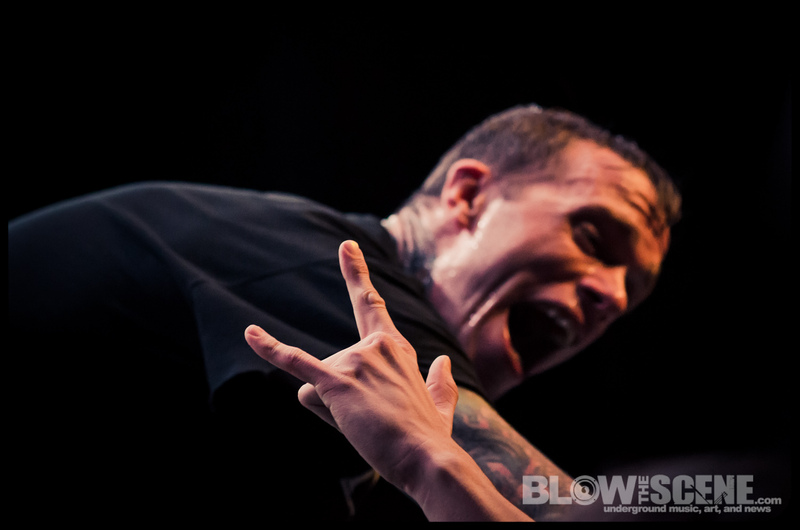 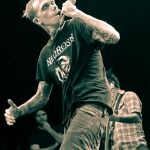 From the newly crafted, heavy double-bass riddled tracks like “Shame In The Way” to selections from the pre-Jane Doe days, Converge put in one to remember with the second appearance at Philadelphia’s Union Transfer this year. 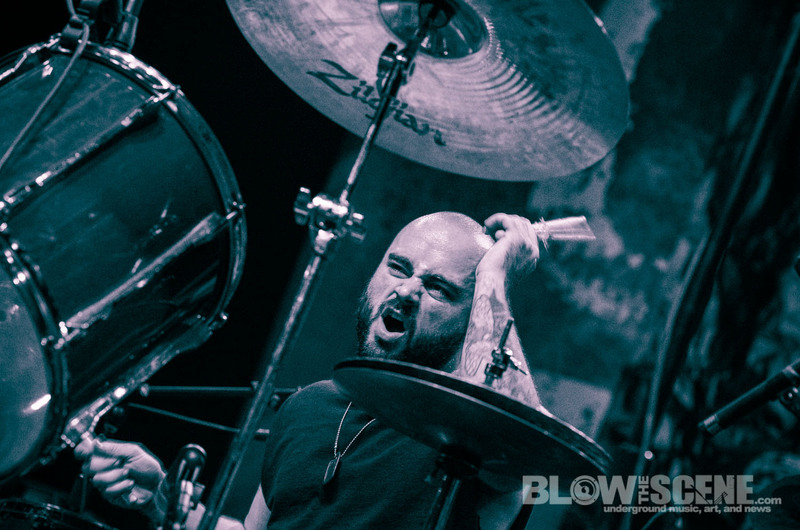 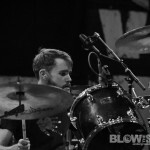 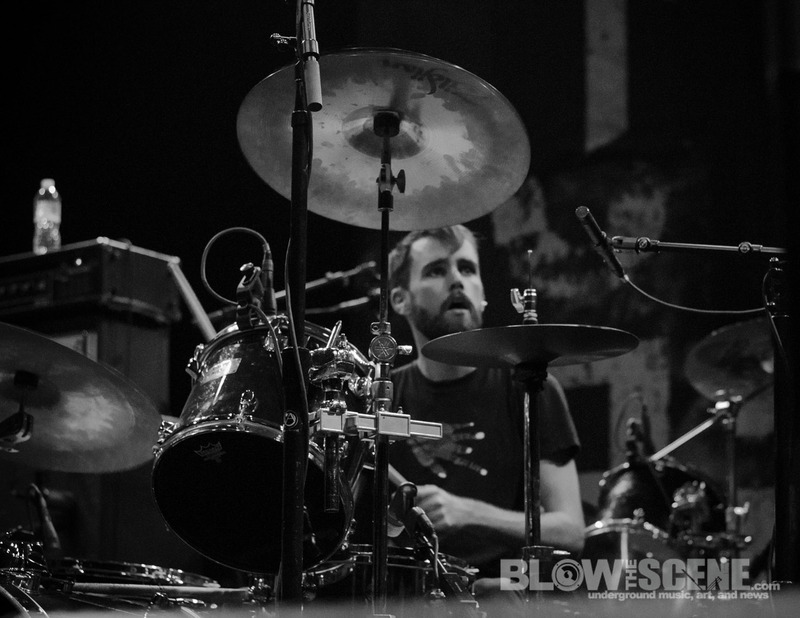 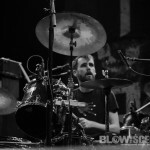 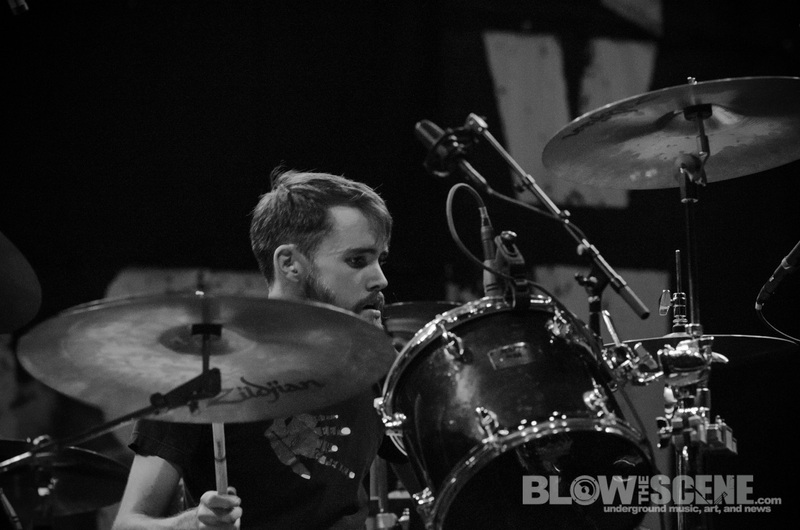 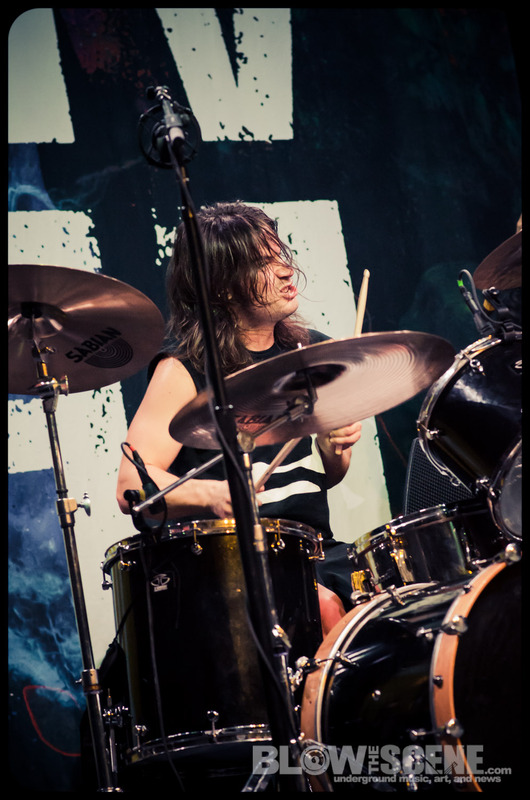 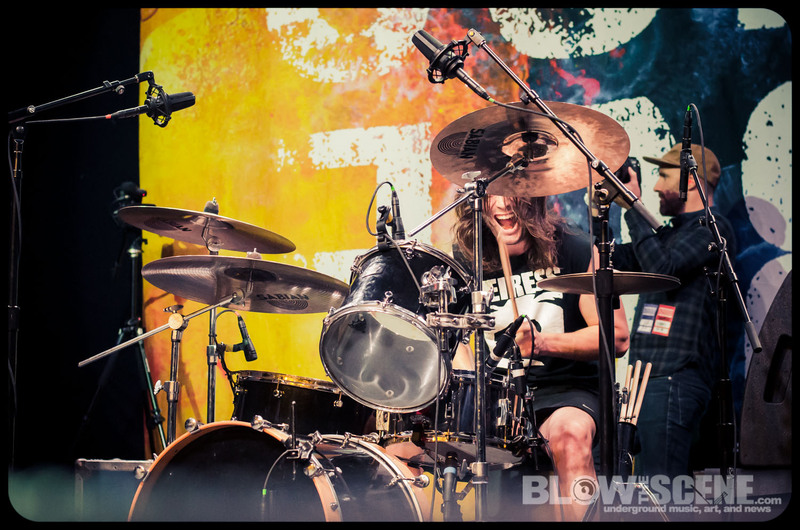 We recently caught up with Converge drummer Ben Koller for an exclusive interview that addresses the writing and recording processes behind All We Love We Leave Behind, current influences a listening picks, tour life, plans for 2013, and much more. 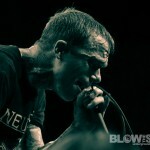 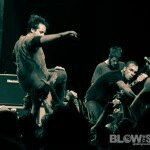 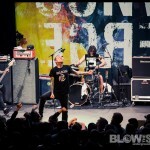 Interview by Blow The Scene’s Editor-in-Chief, Joshua T. Cohen.